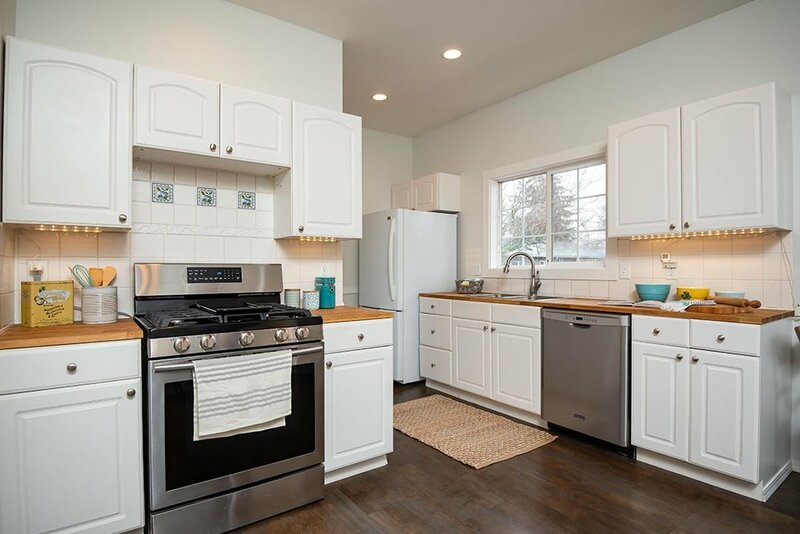 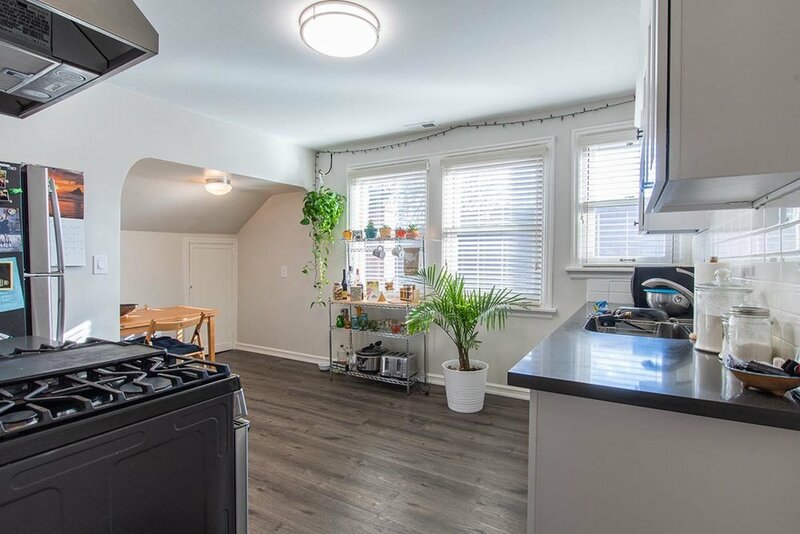 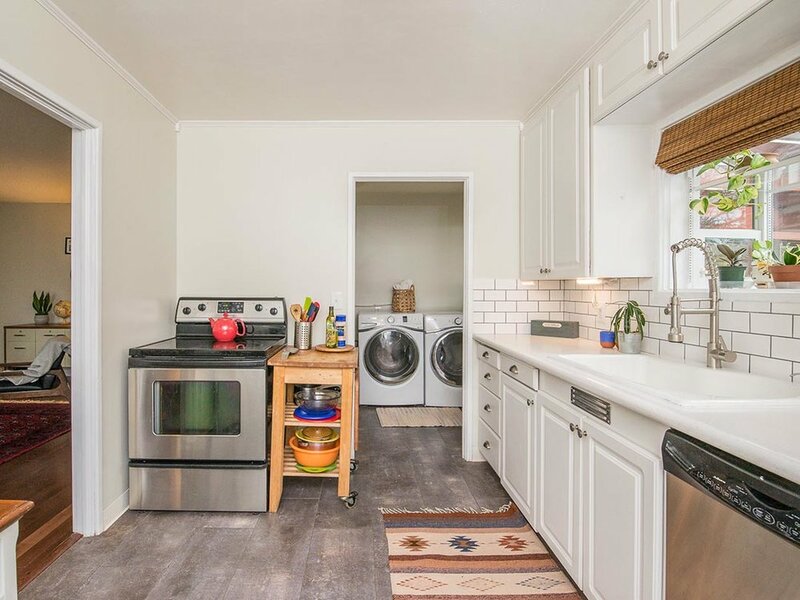 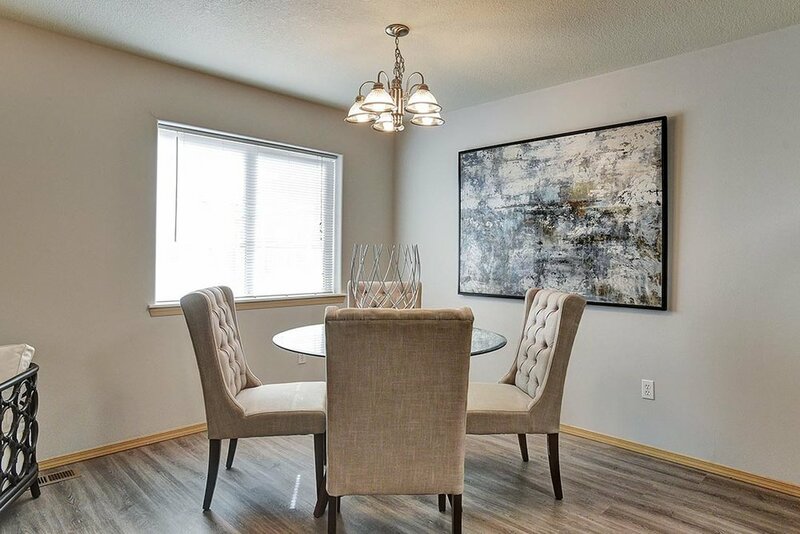 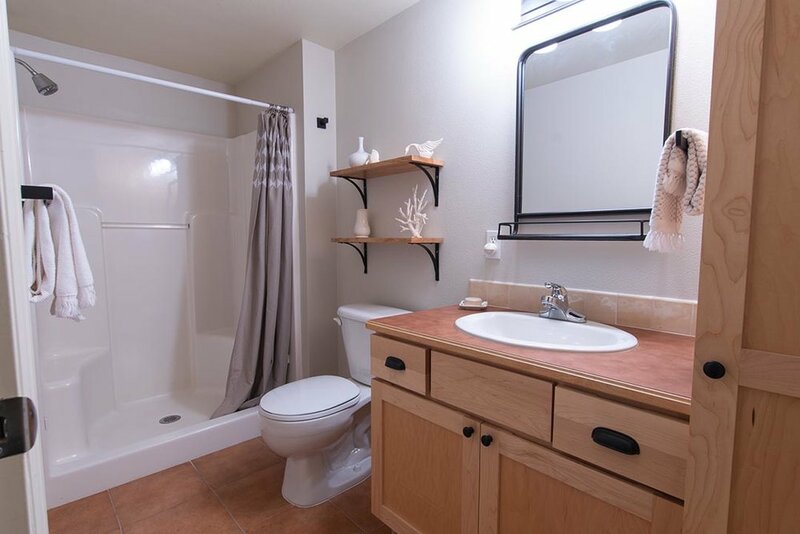 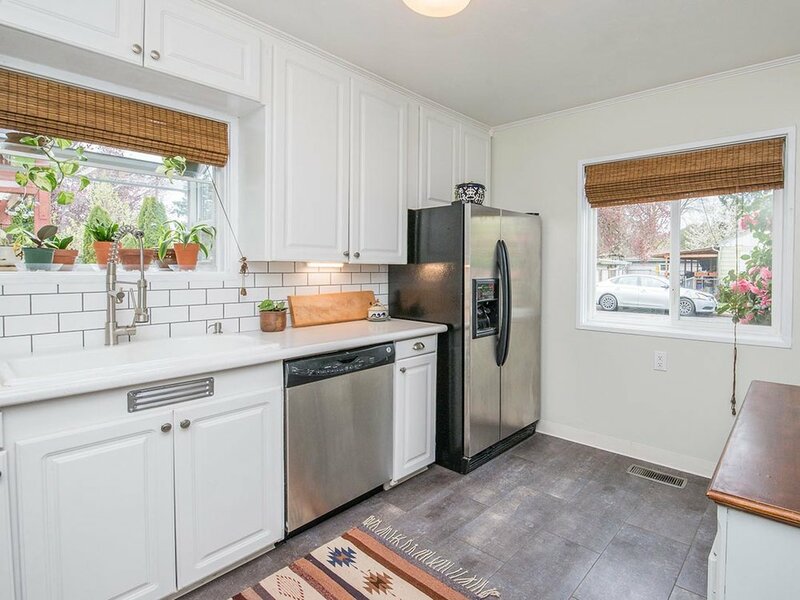 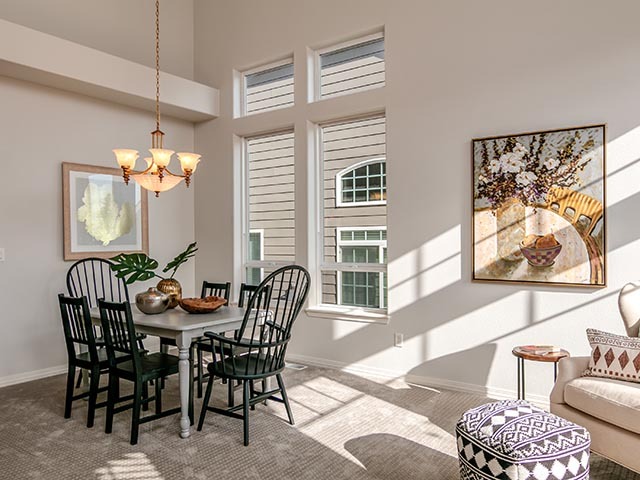 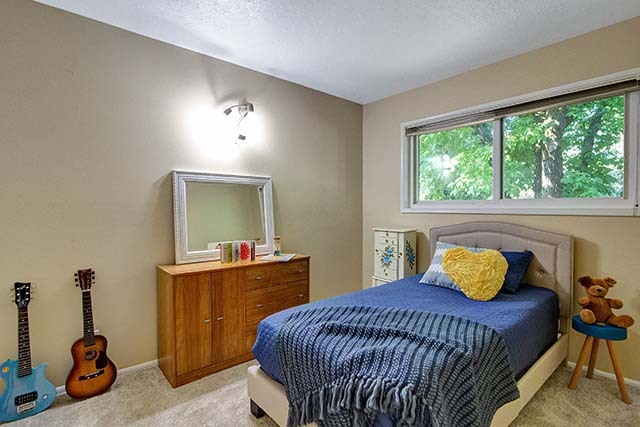 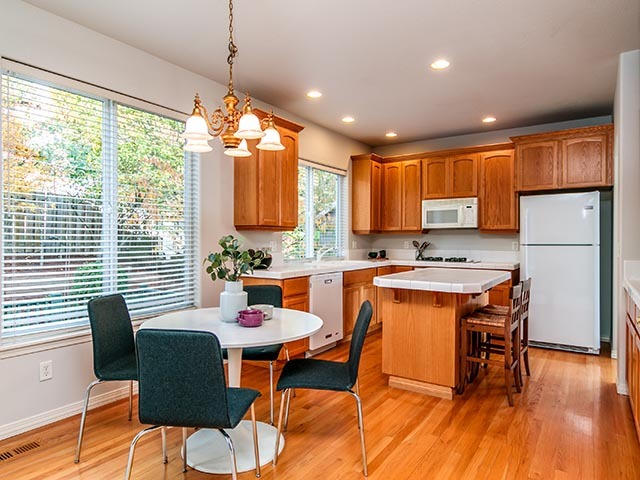 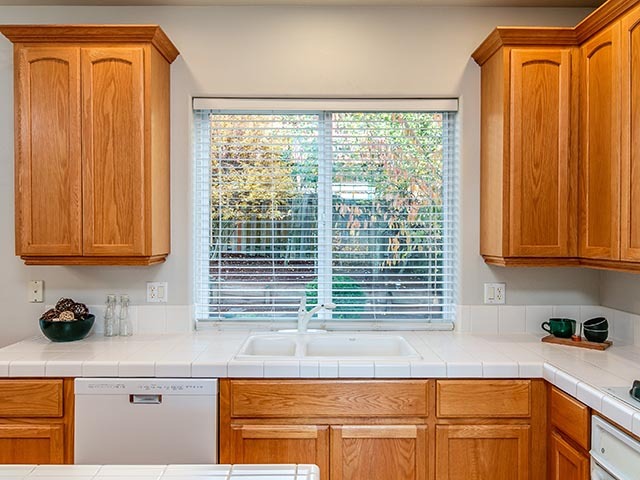 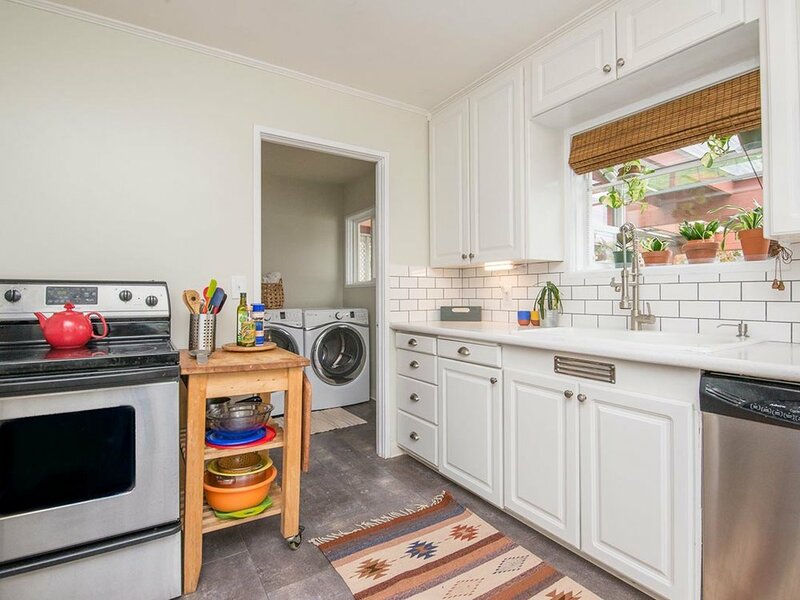 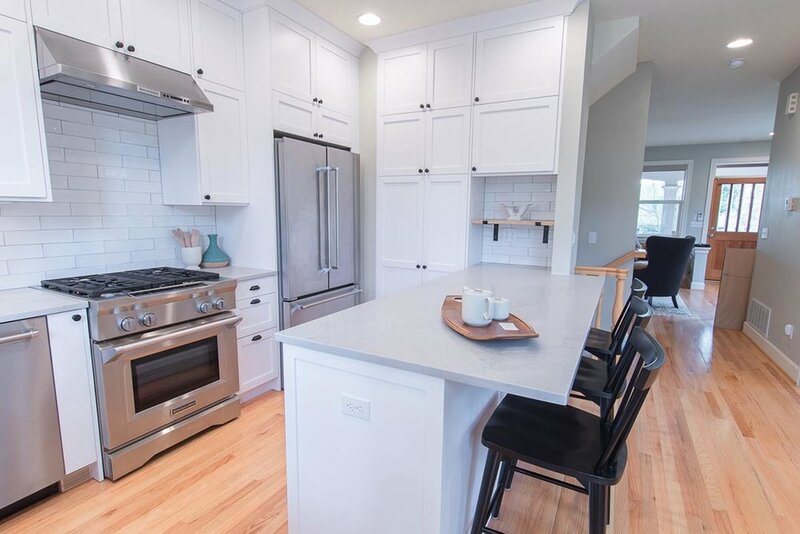 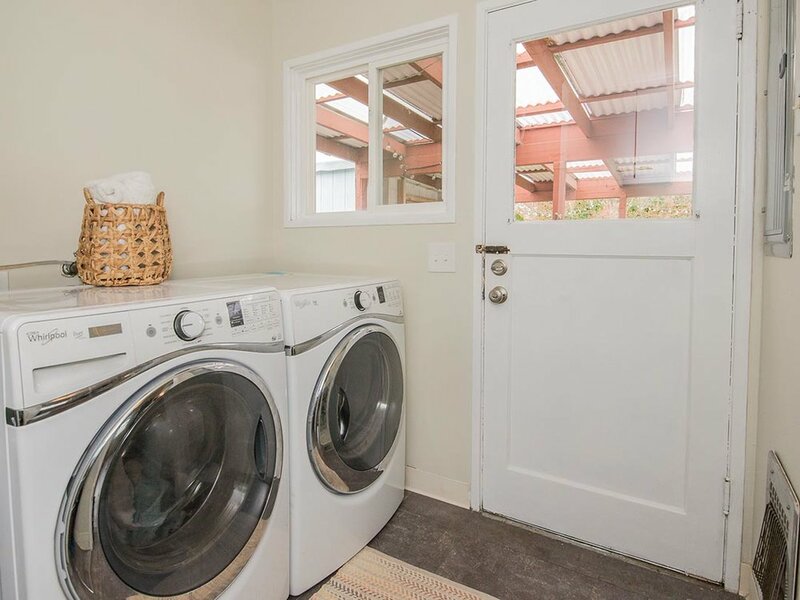 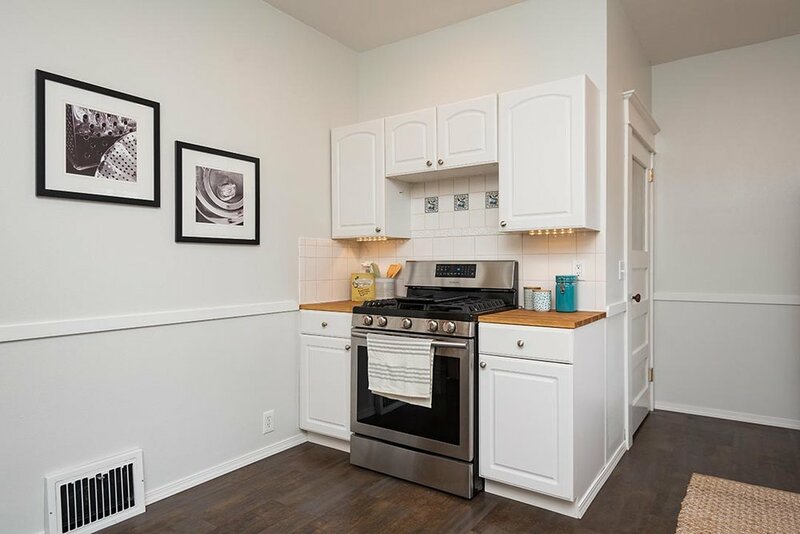 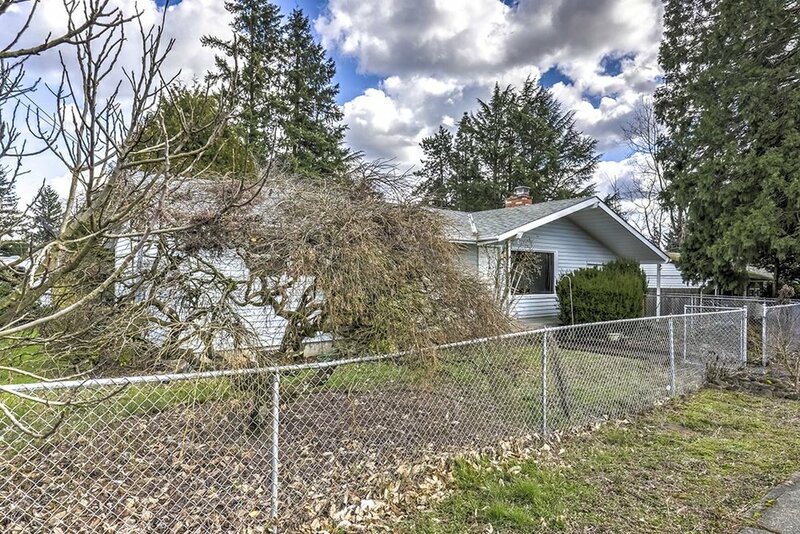 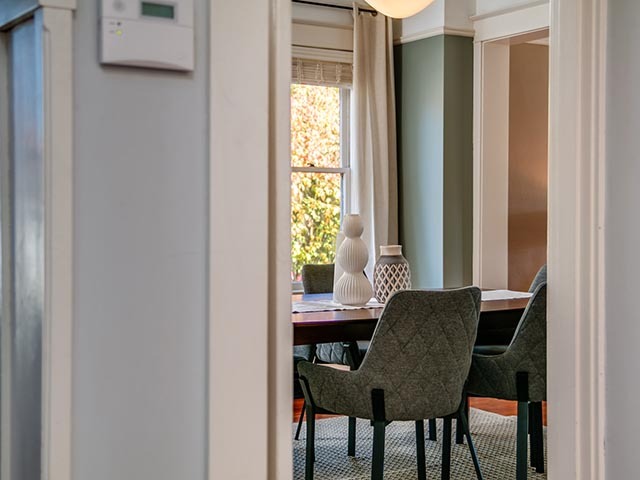 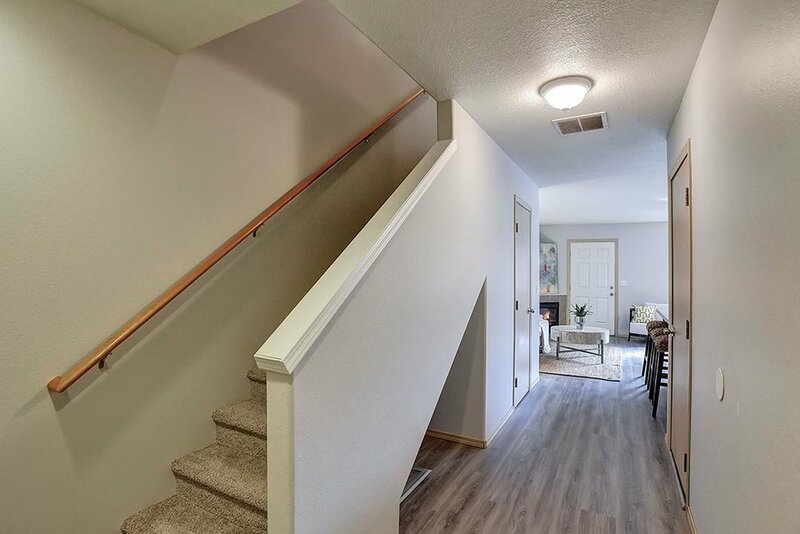 Fresh interior paint throughout and a remodeled bath and sizable remodeled kitchen with new appliances — explore your culinary skills while enjoying fruit trees and berries from the yard. 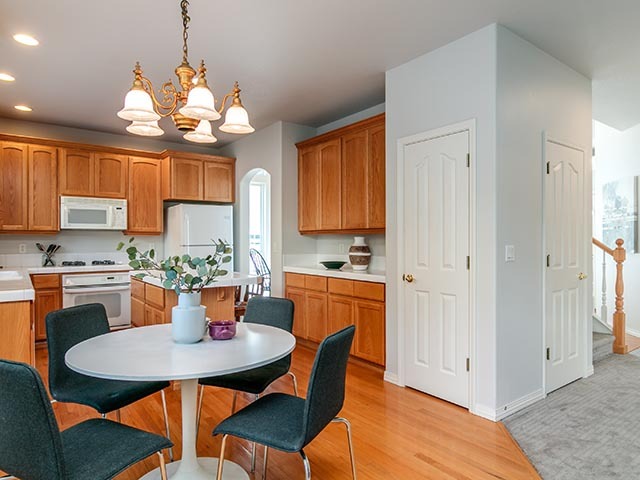 Impeccably maintained home lives large with a ready to finish full basement that is bright, tall, warm, and dry with its own entrance. 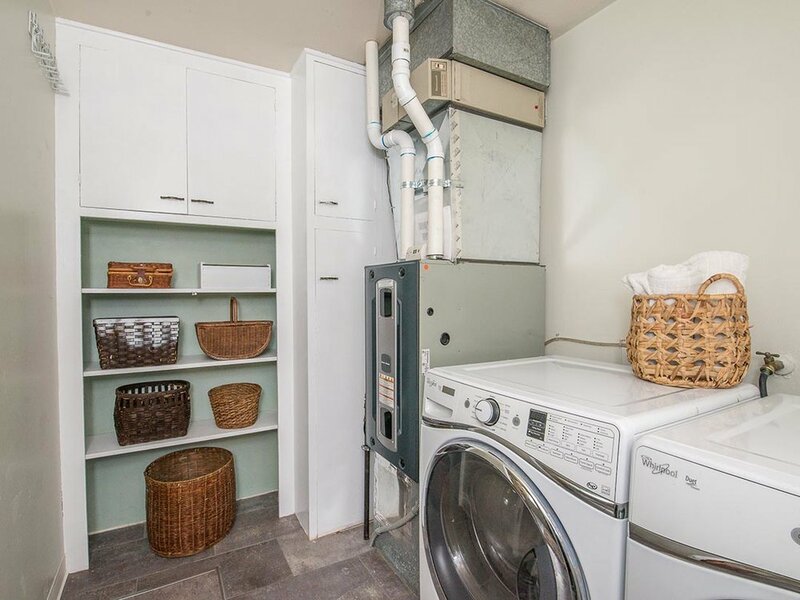 Newer gas furnace, updated plumbing, and electric. 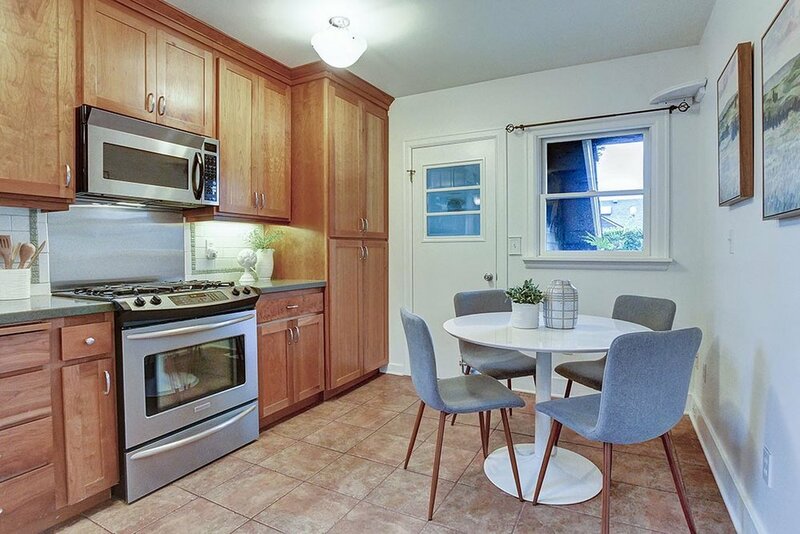 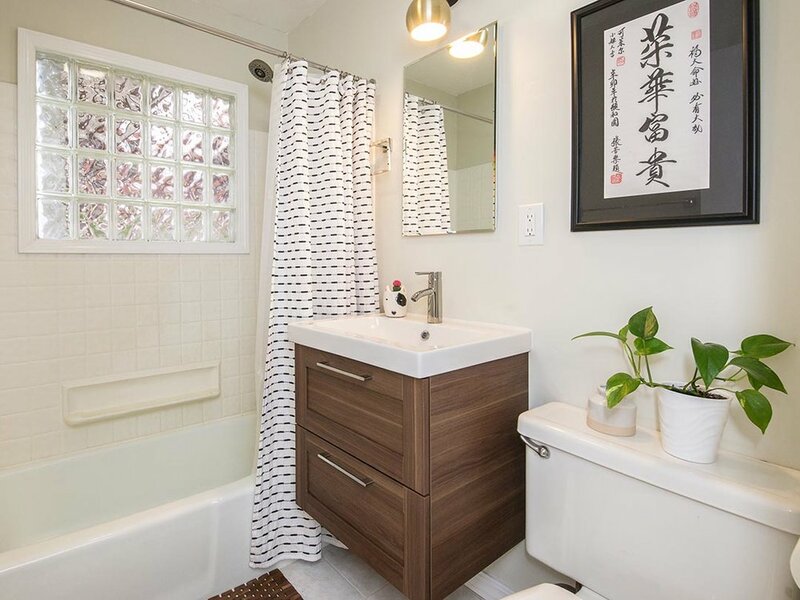 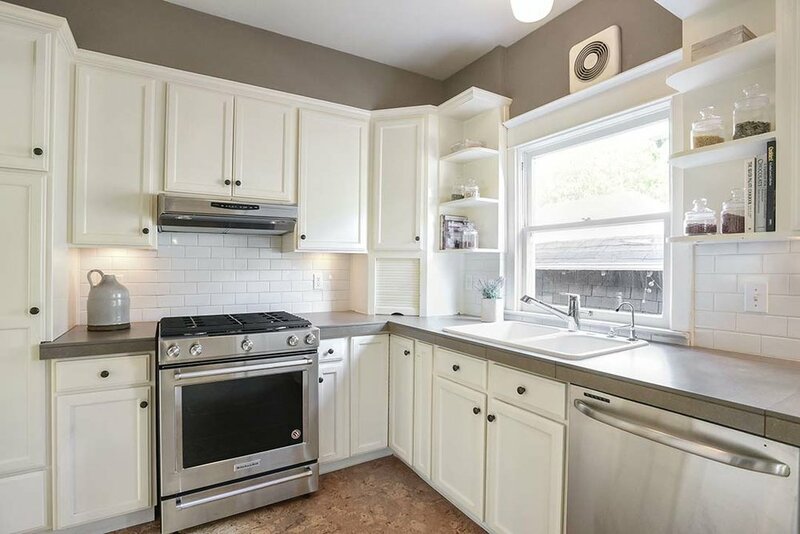 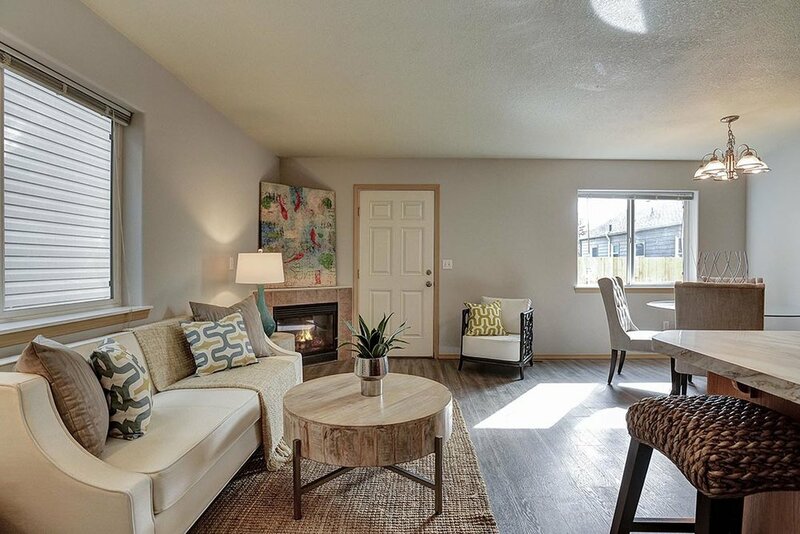 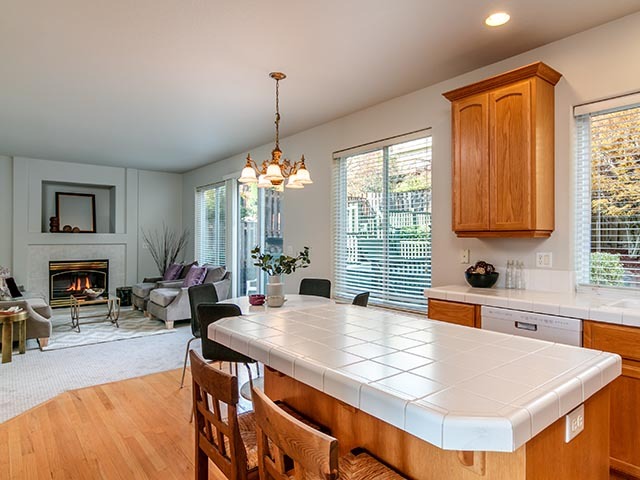 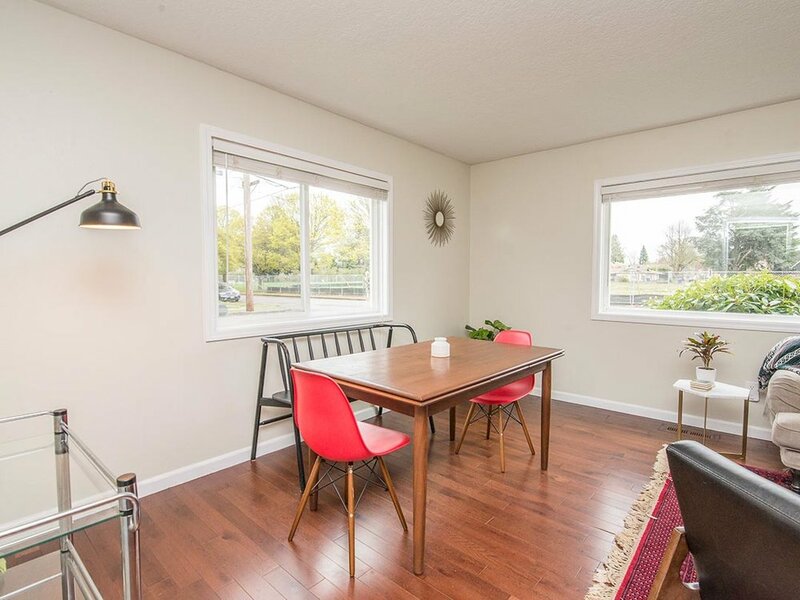 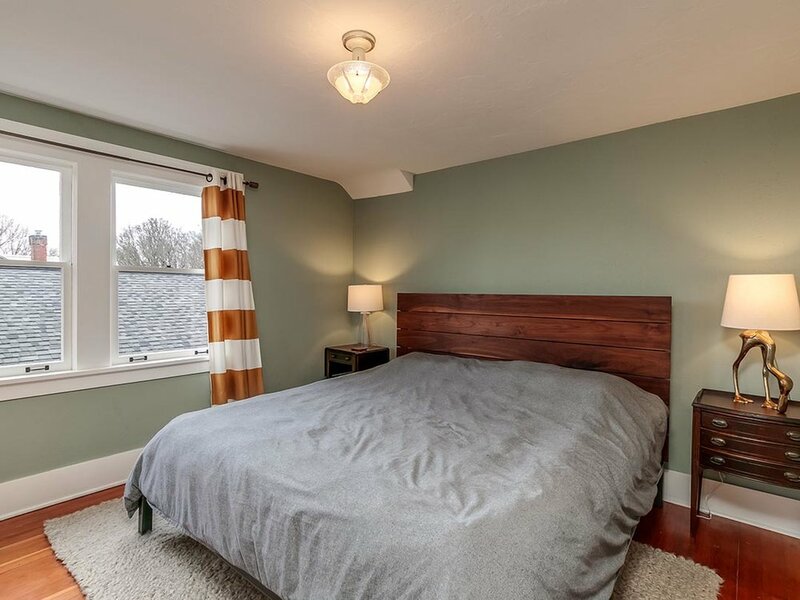 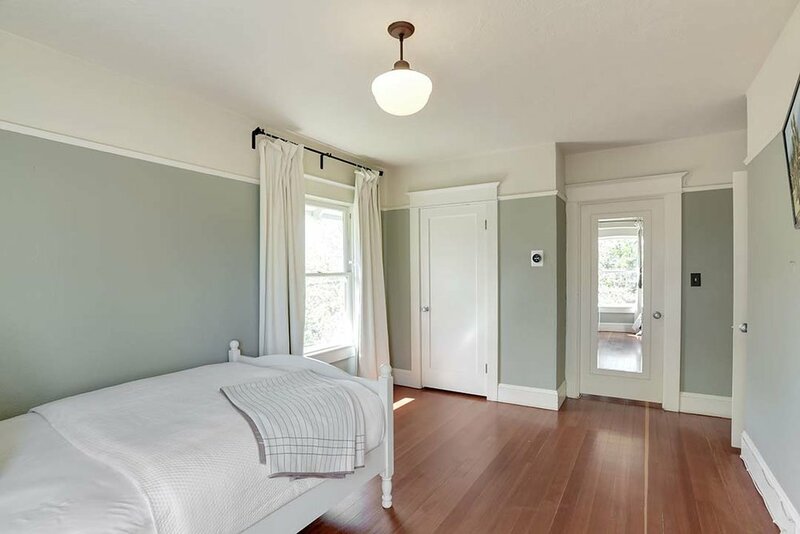 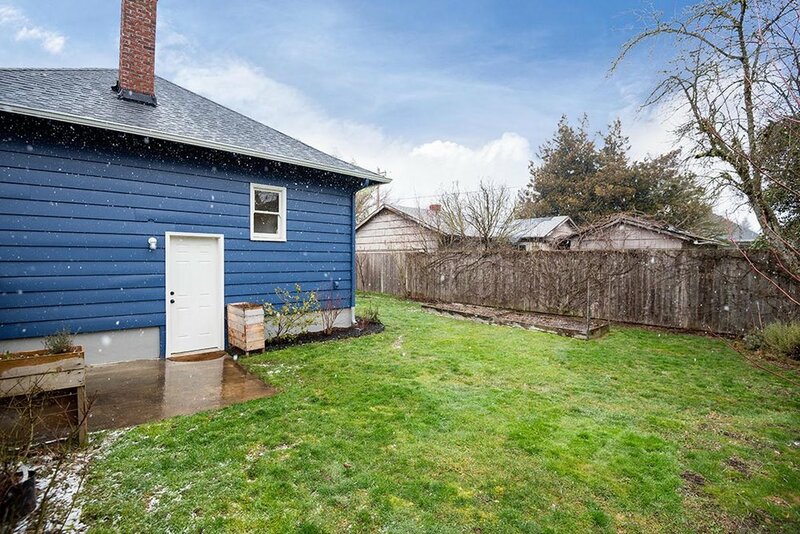 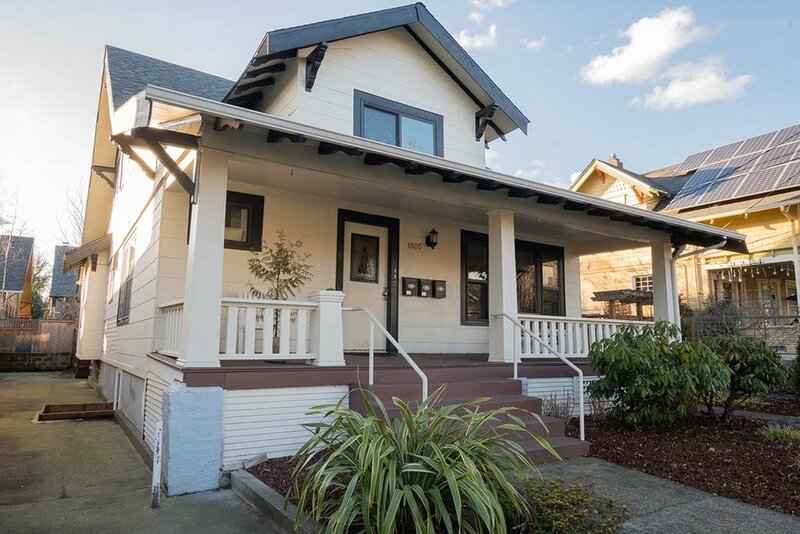 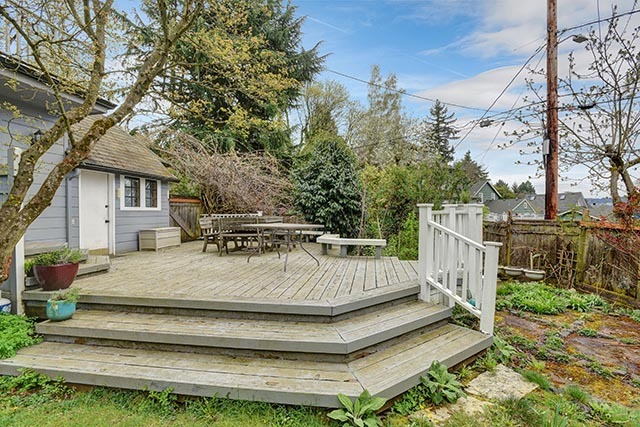 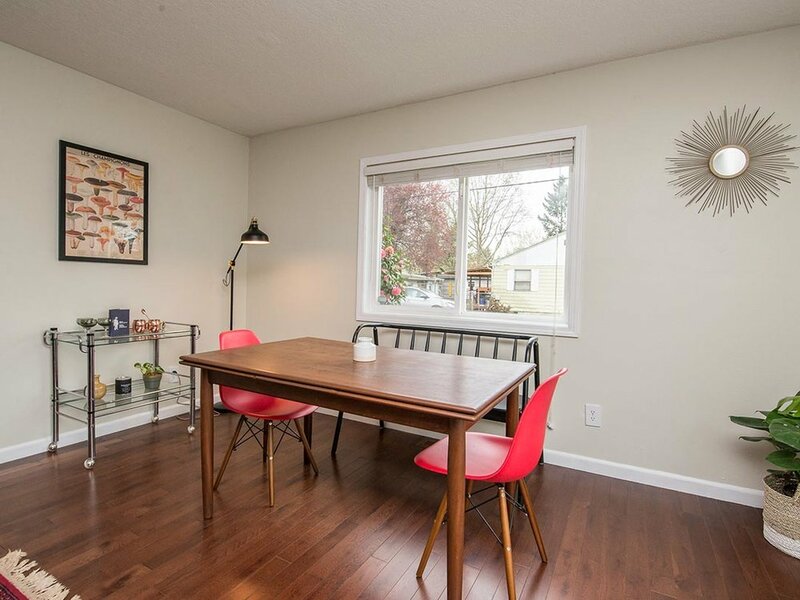 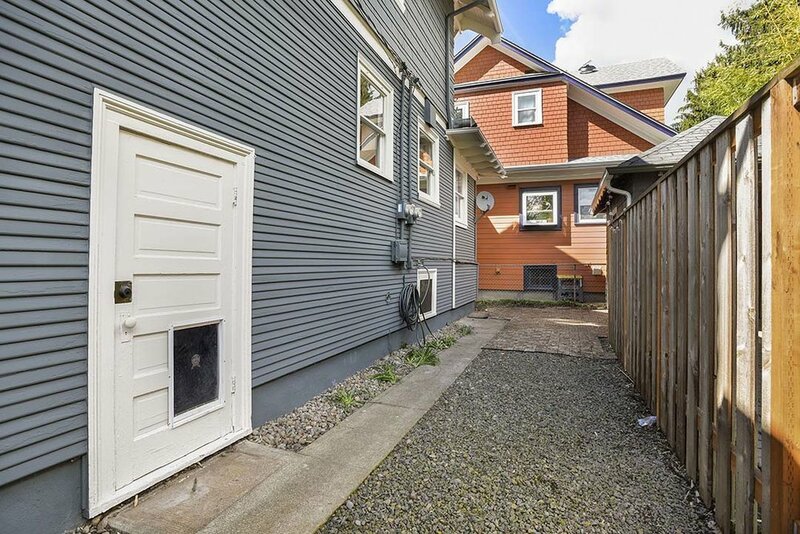 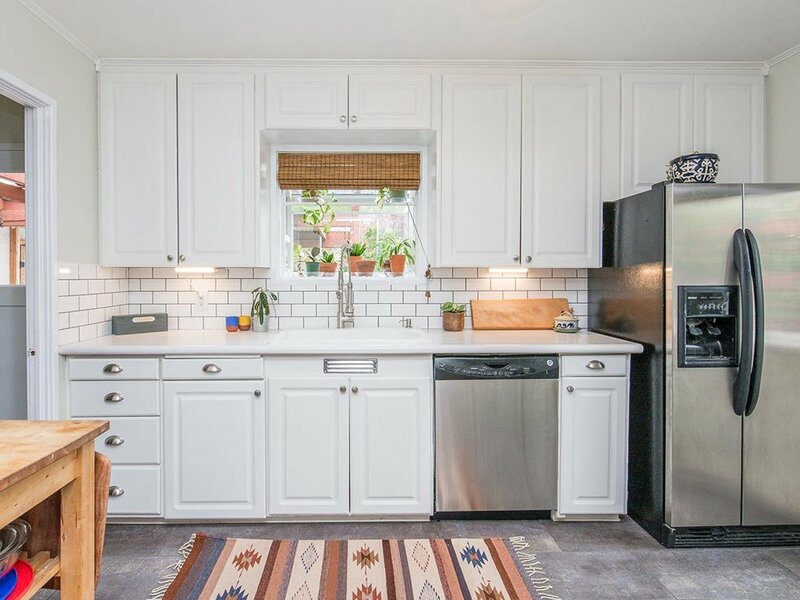 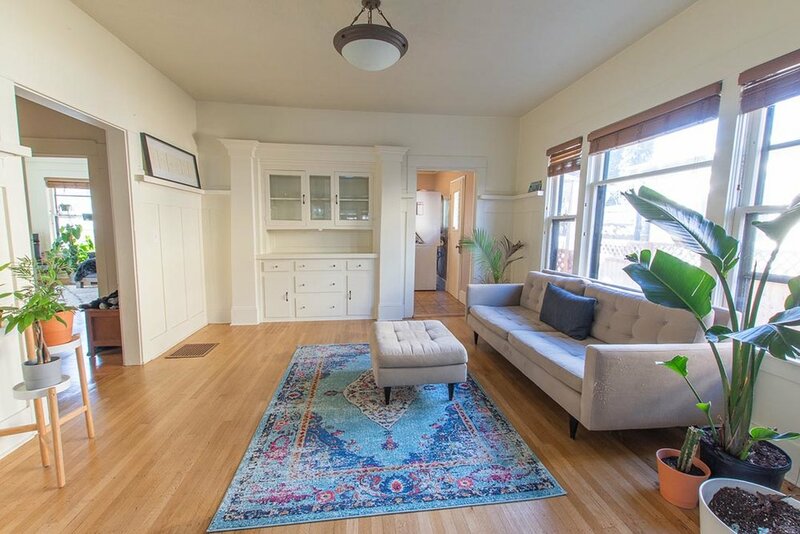 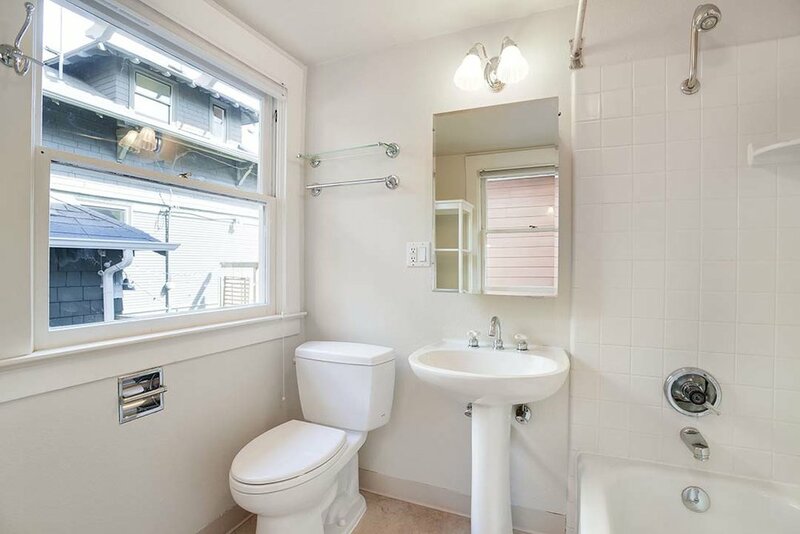 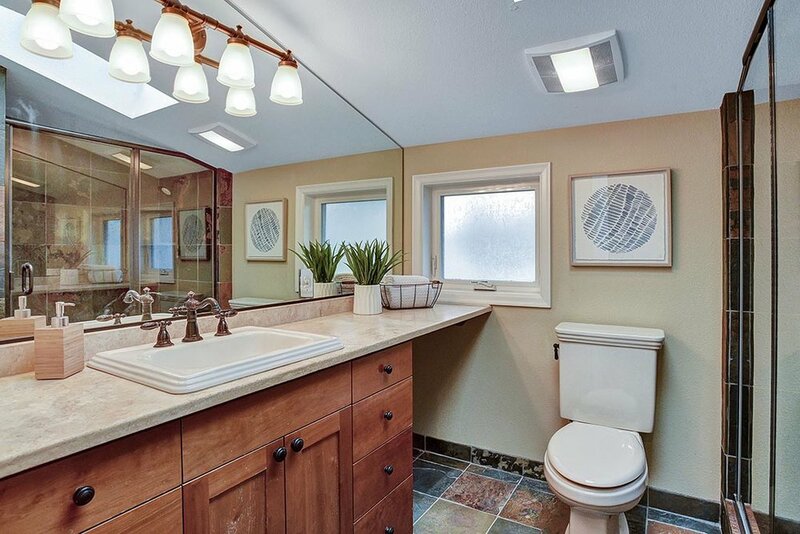 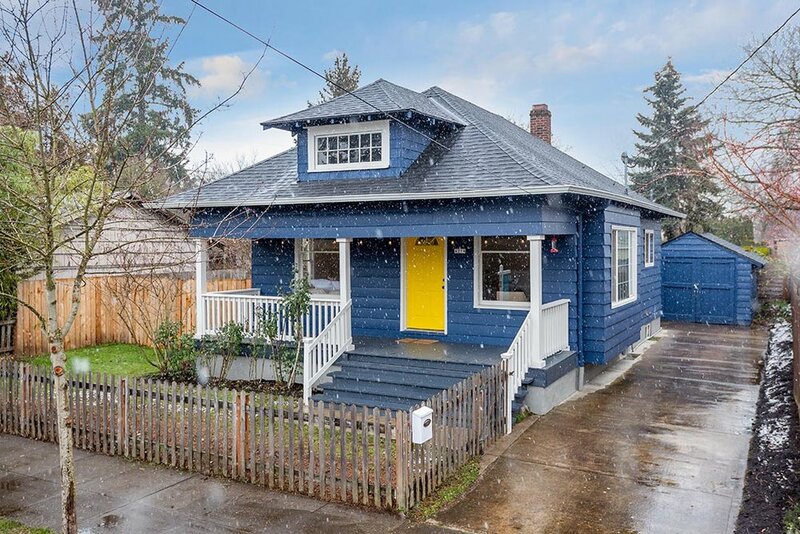 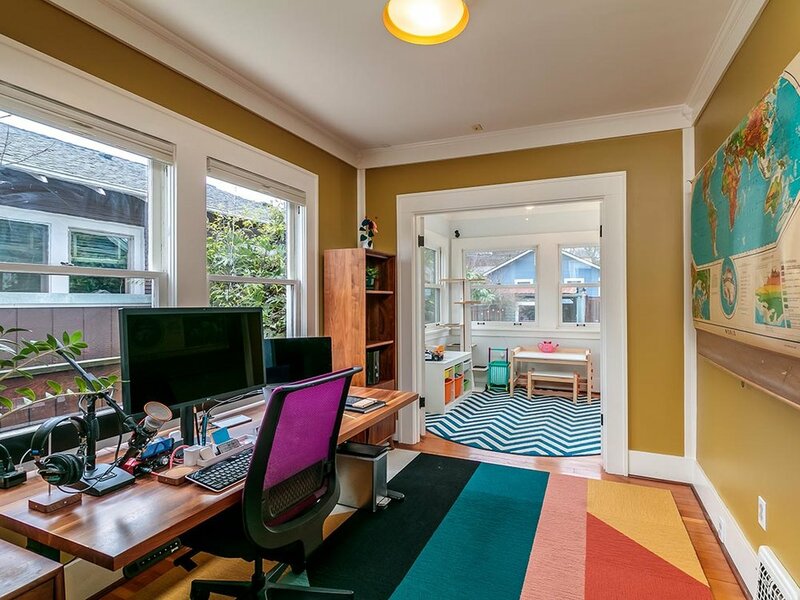 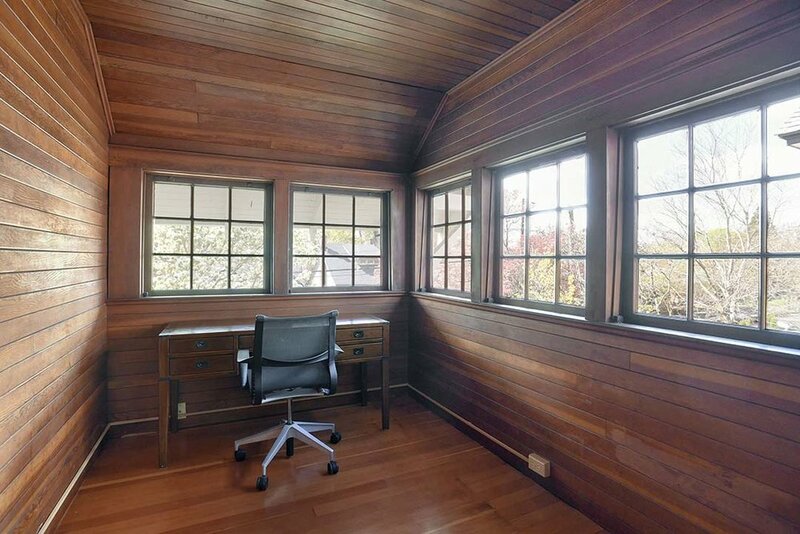 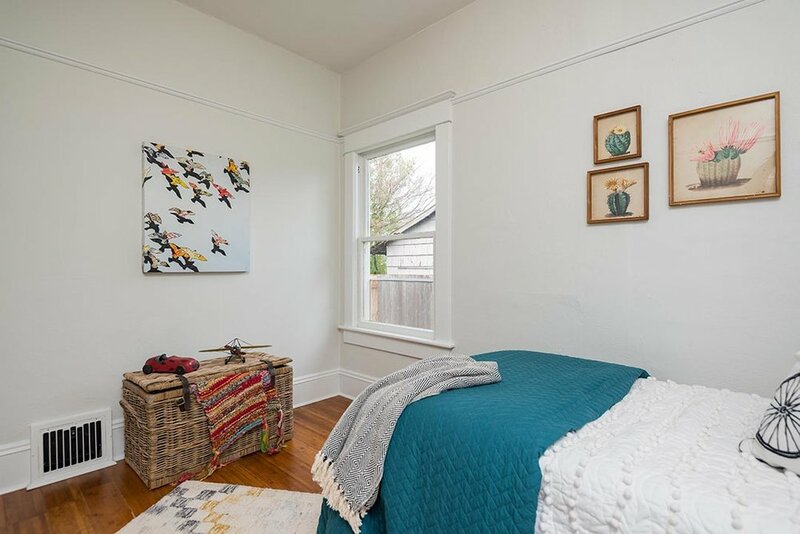 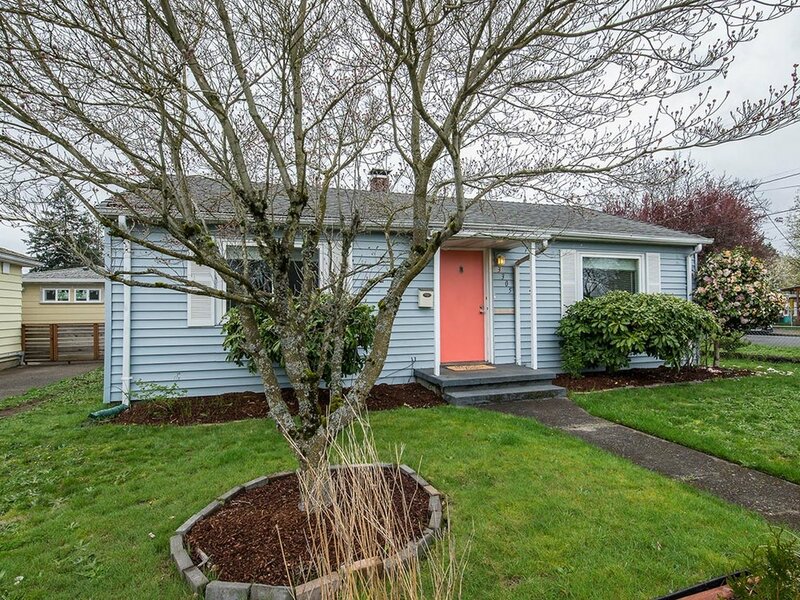 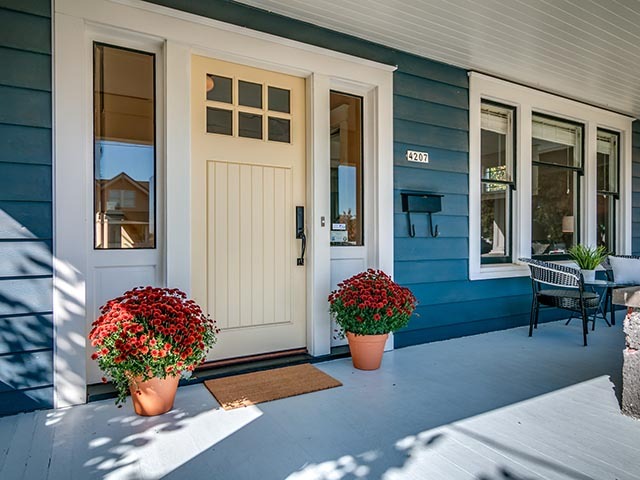 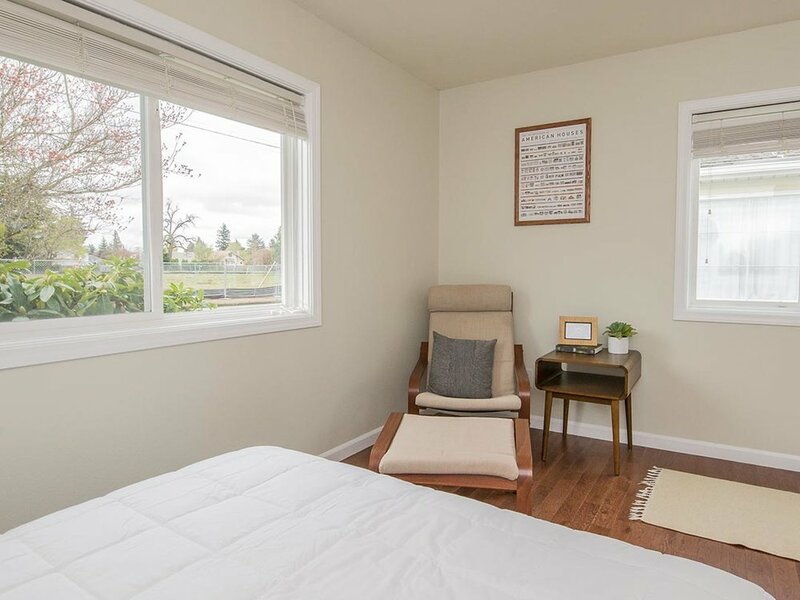 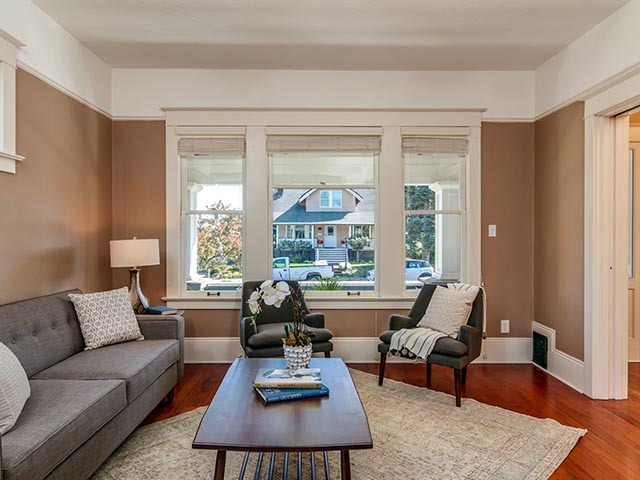 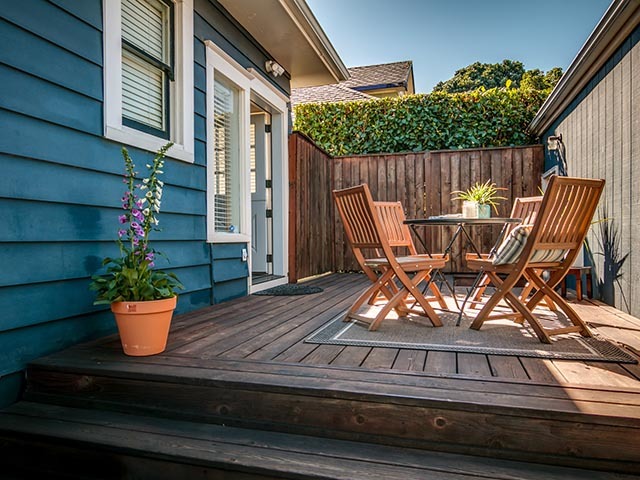 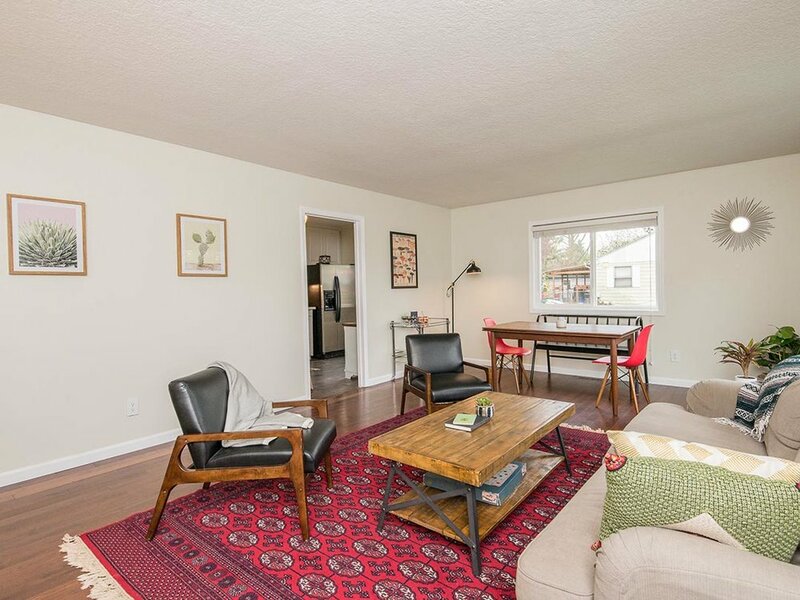 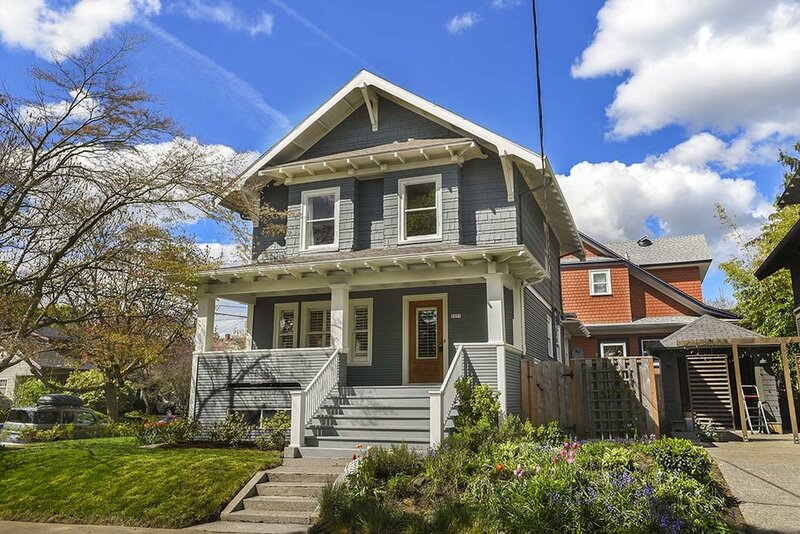 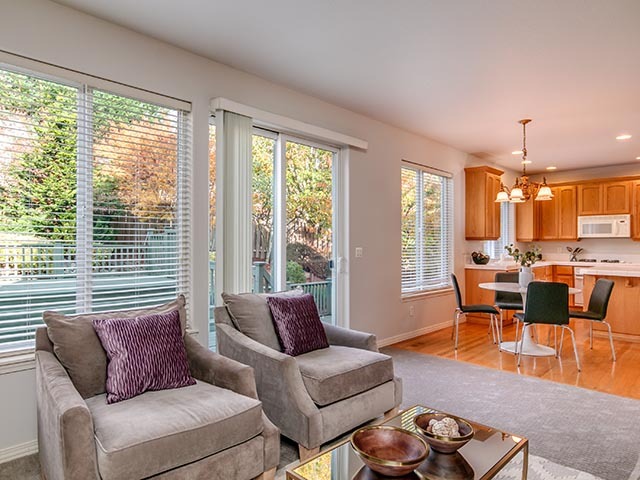 This light and bright Ladd’s Addition bungalow sits high above all that SE Division has to offer. 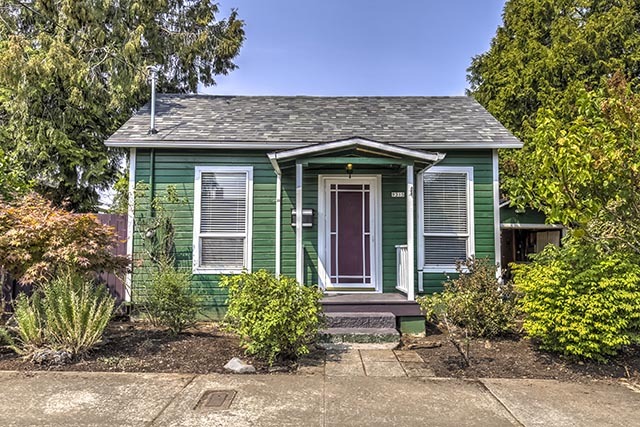 Two blocks to New Seasons, restaurants, and shops galore. 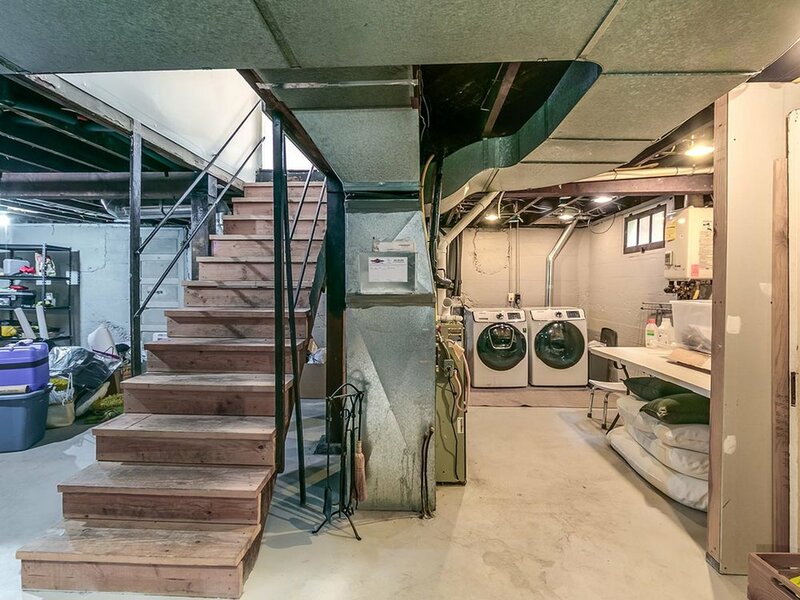 Three bedrooms upstairs and a den on the main level. 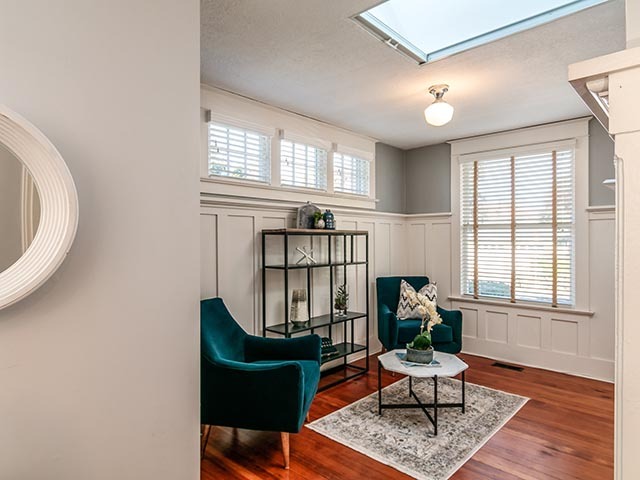 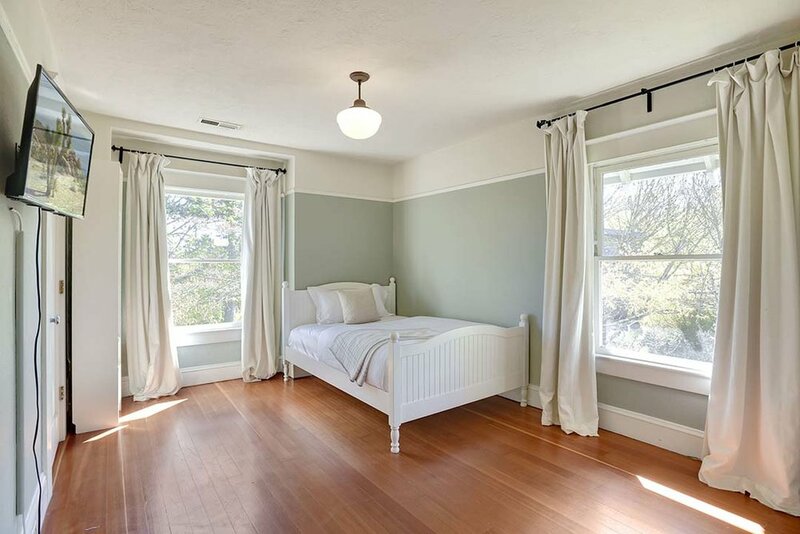 This home features original light fixtures, built-ins, fireplace, and a beautiful sunporch lined with newer wood windows. 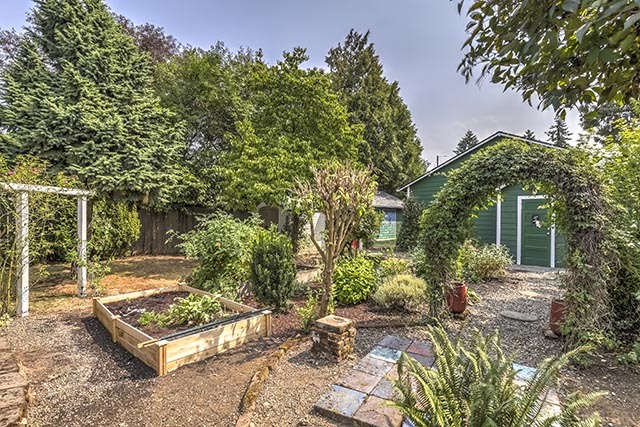 Large backyard with raised beds is ready for your garden. 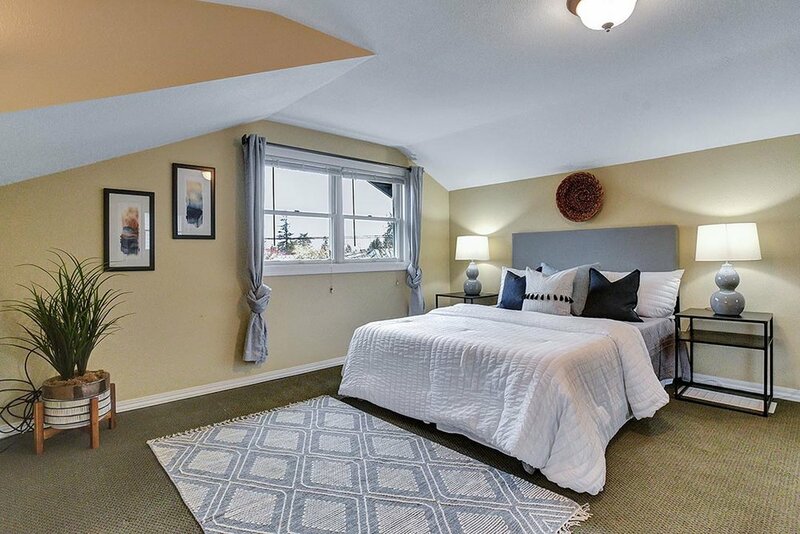 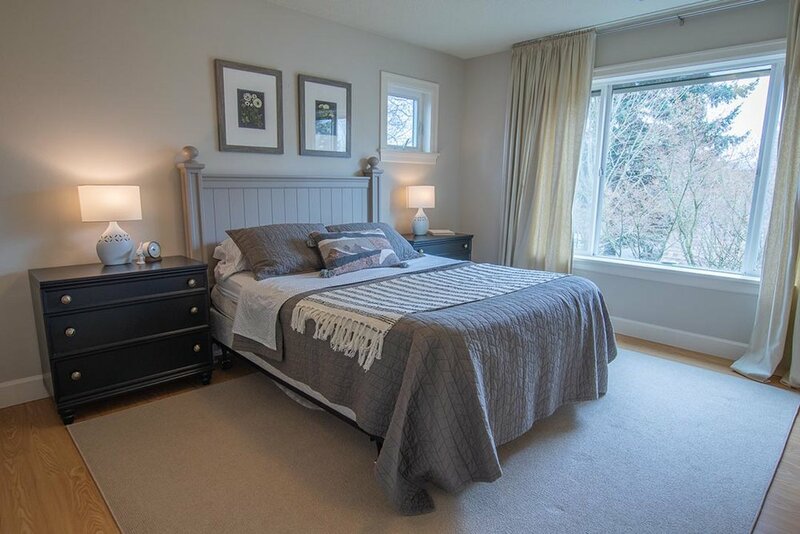 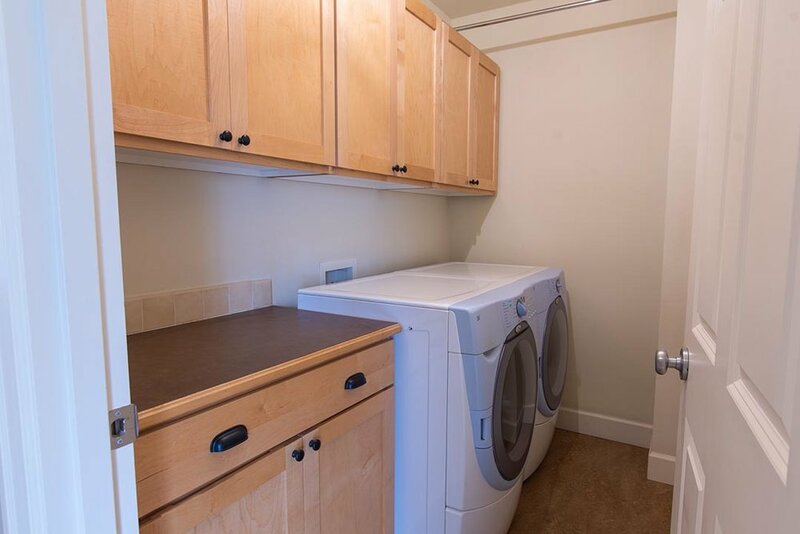 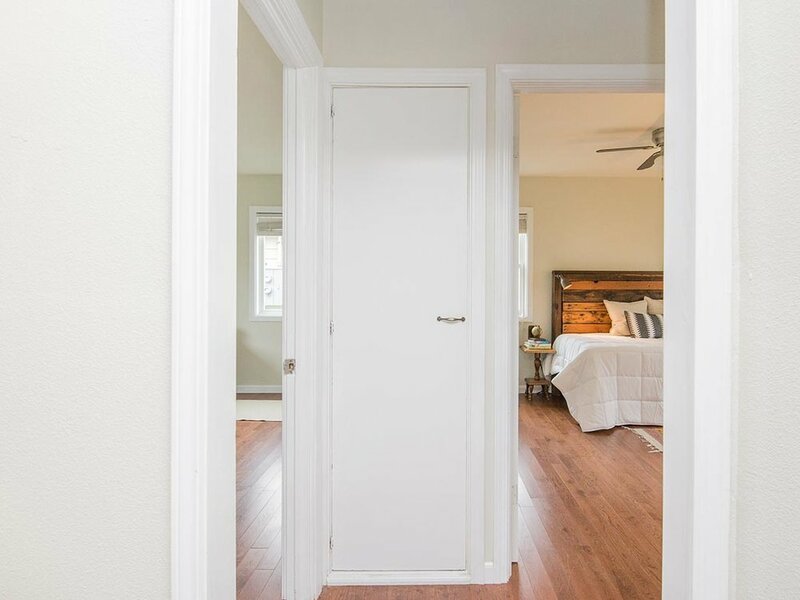 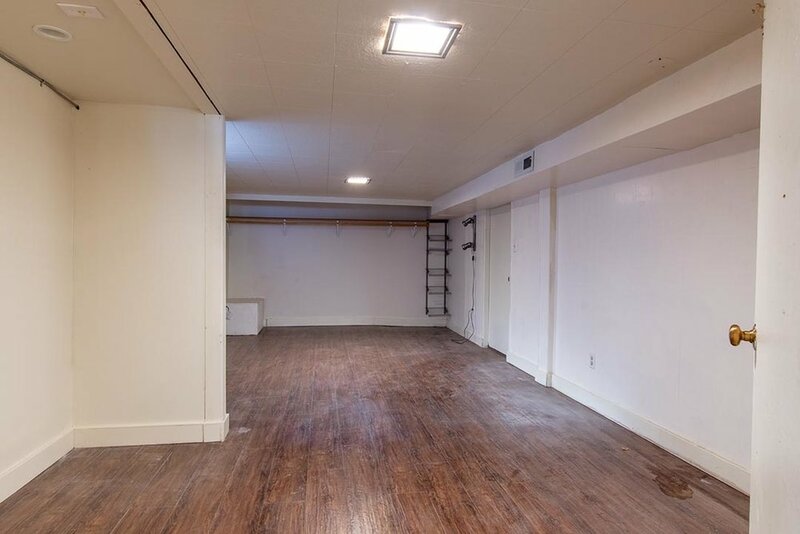 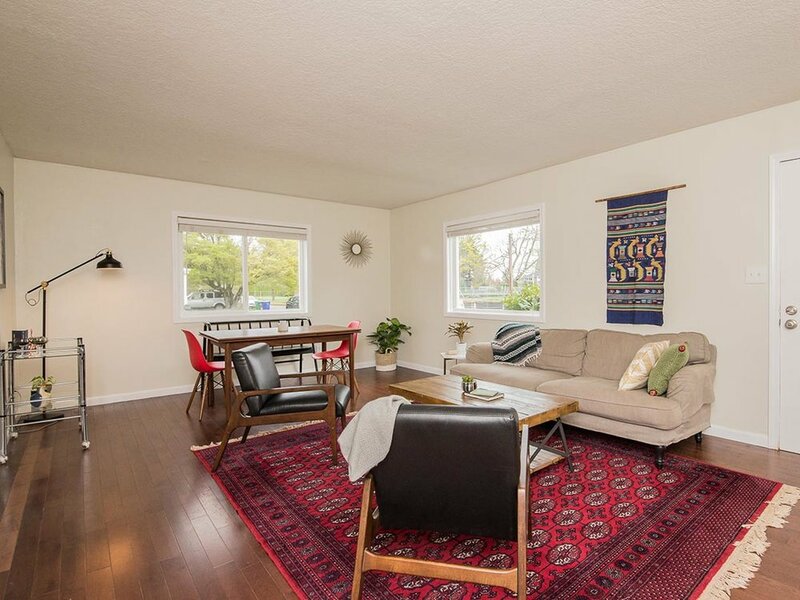 Clean basement with 7-foot ceilings and separate entrance is prime for an ADU. 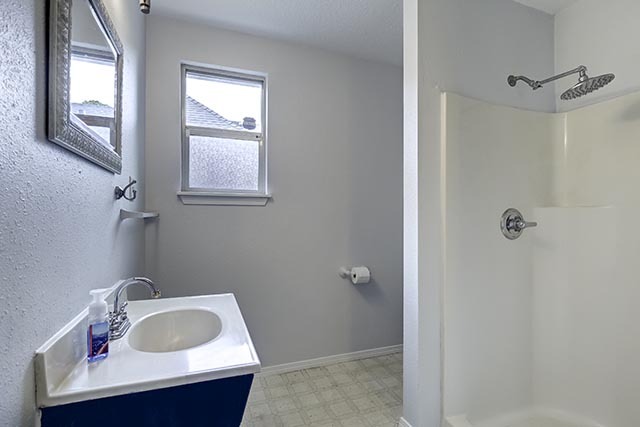 All new tankless water heater, meter with 200 amp electric panel, central AC, and interior paint. 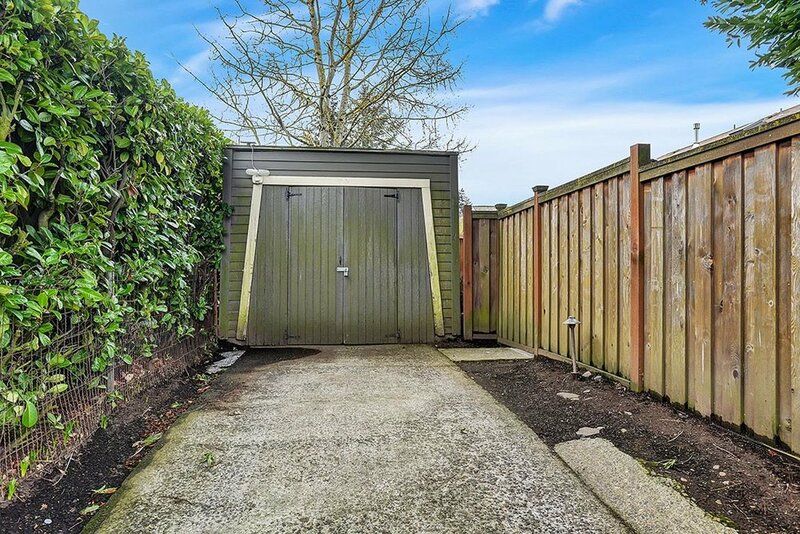 Alley access includes 1-car garage and two parking pads! 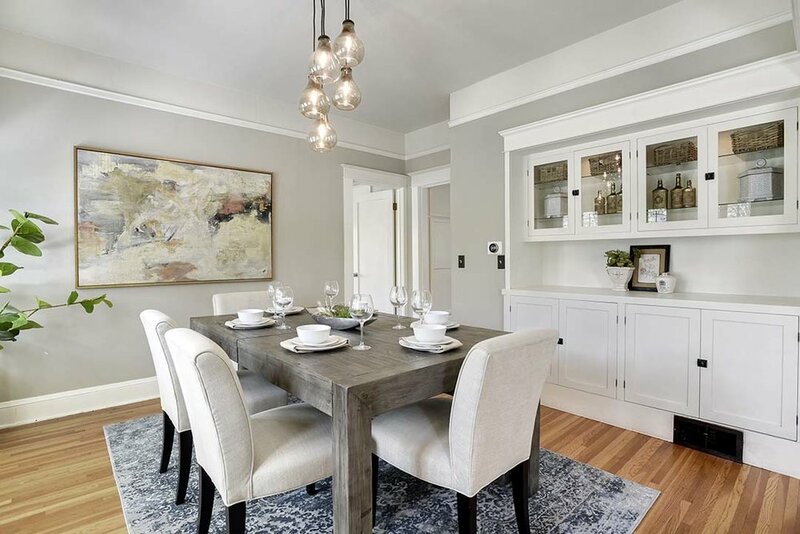 Classic Old Portland in the heart of Brooklyn combines beautiful original details with modern upgrades on a quiet dead-end street. 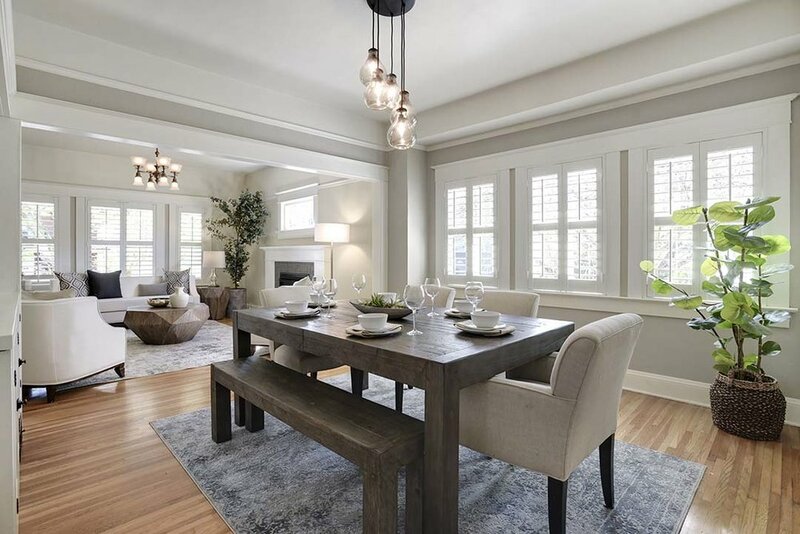 The home features a fireplace, formal dining room with boxed beam ceilings and a sunroom with skylights. 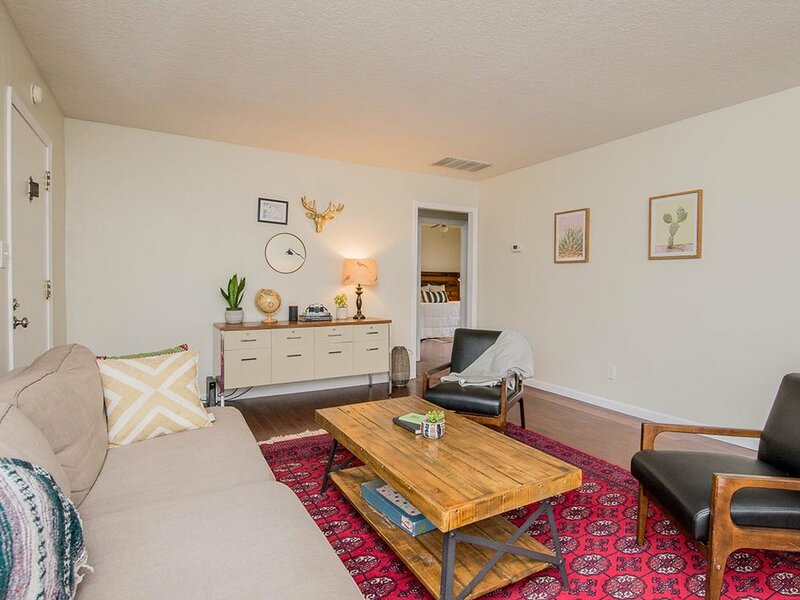 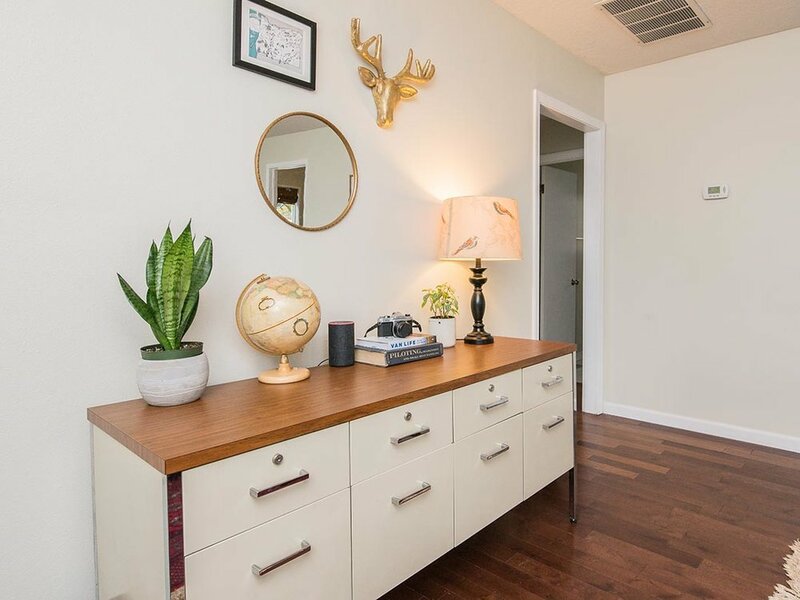 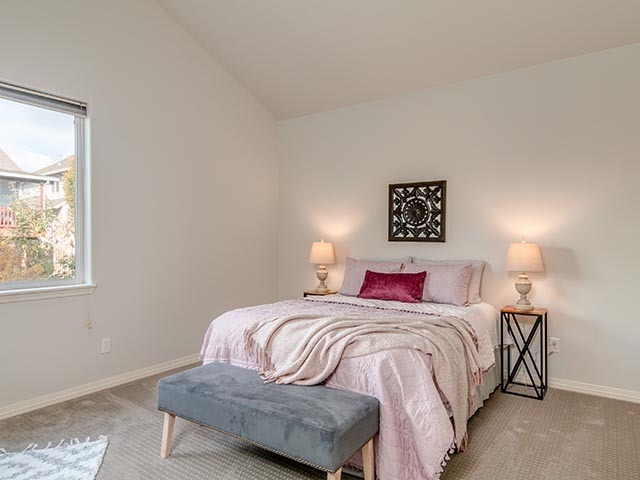 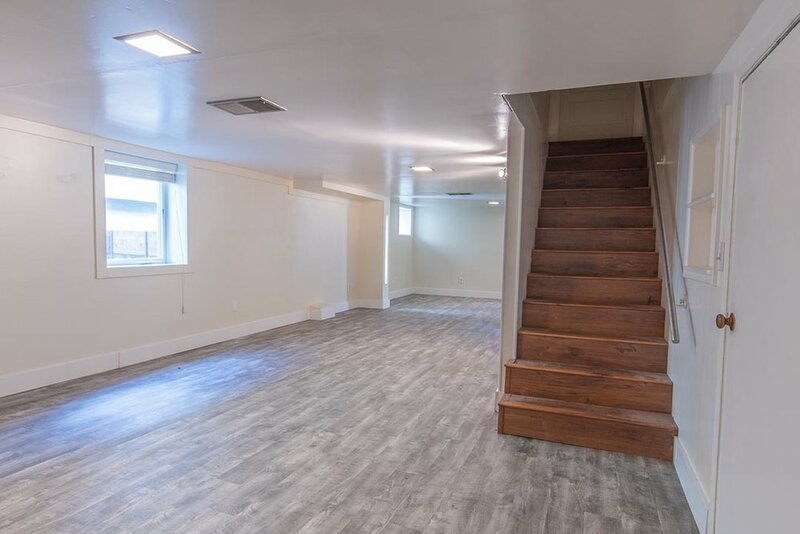 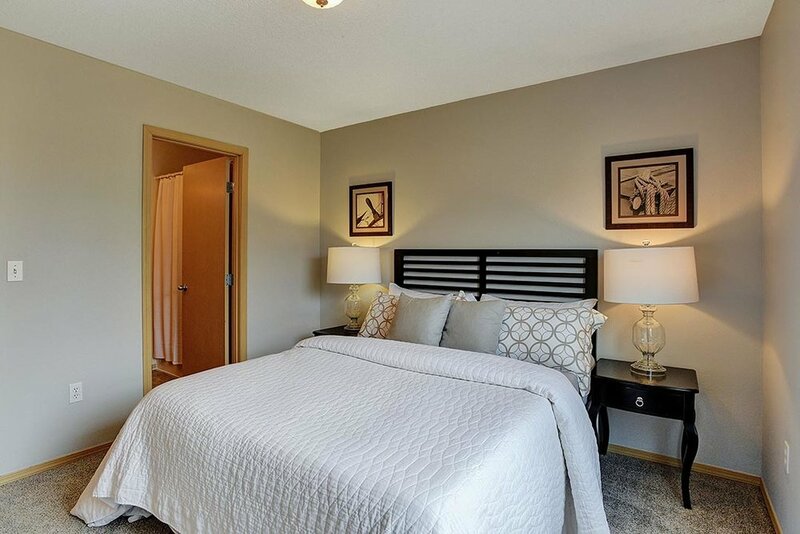 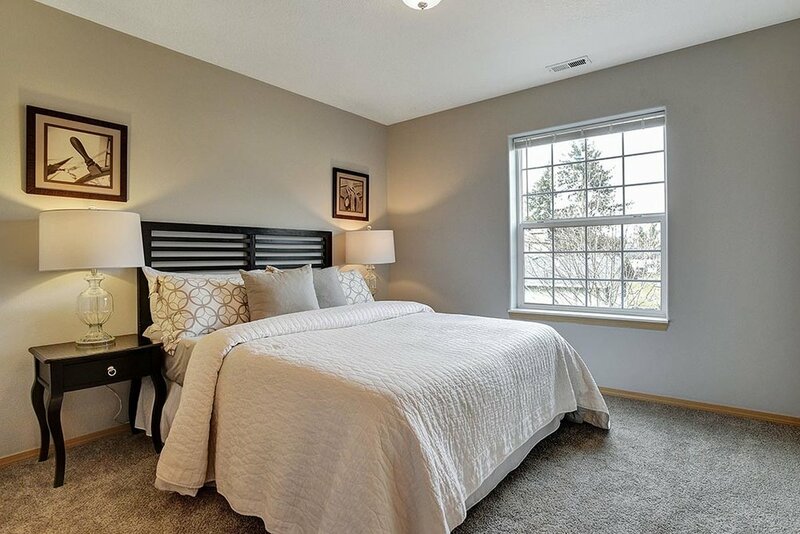 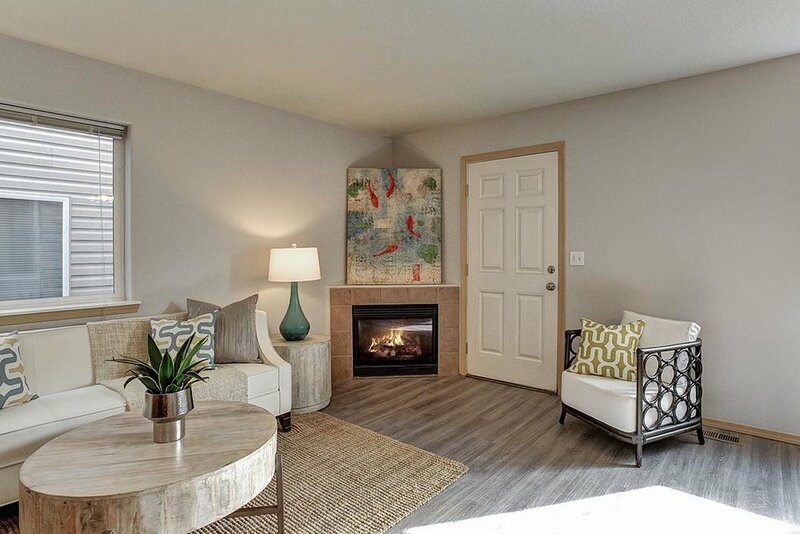 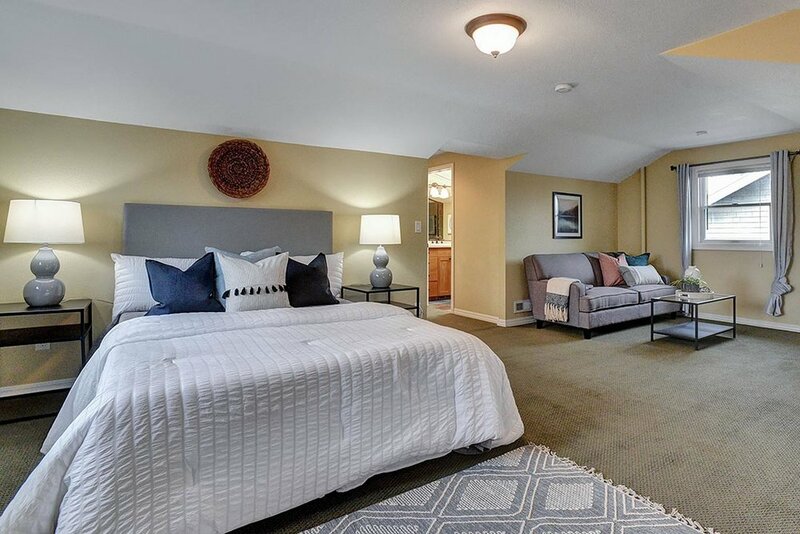 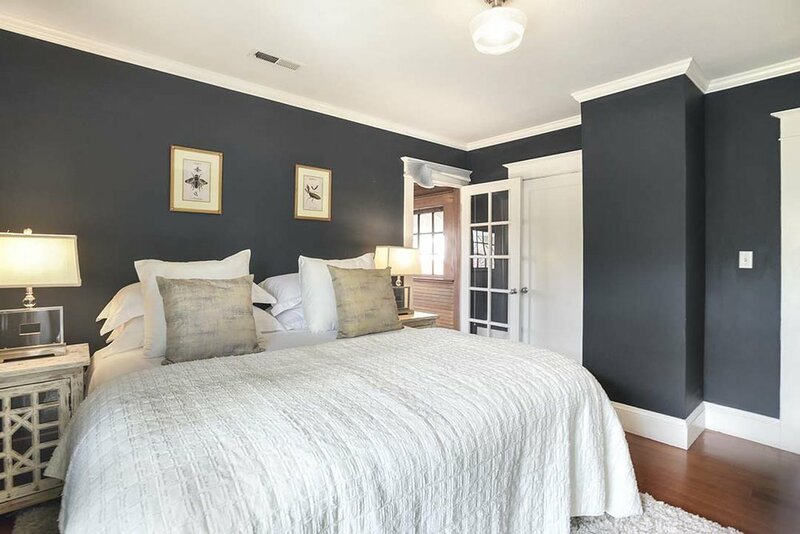 Three bedrooms on the second floor, including a master suite and clawfoot tub, plus a family room, guest bedroom and full bath on the lower level, make this perfect urban living. 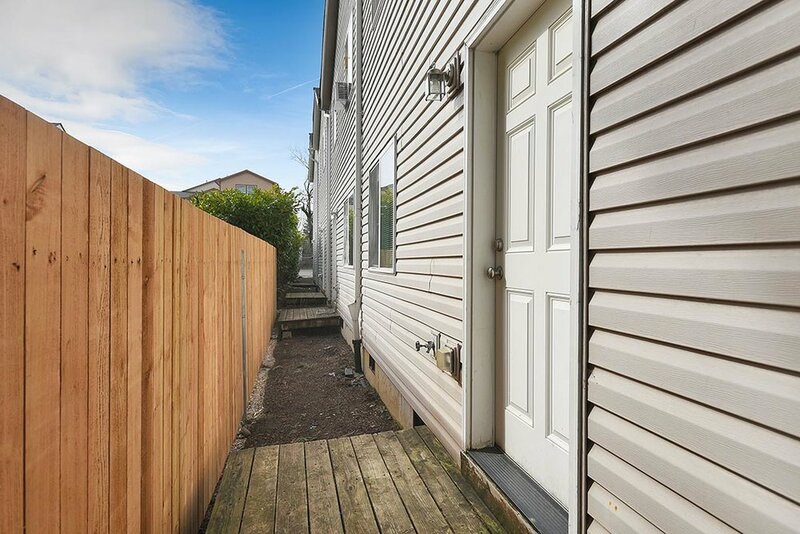 All this plus a two-car detached garage, covered front porch and backyard deck, all within walking distance of shops, parks, and MAX. 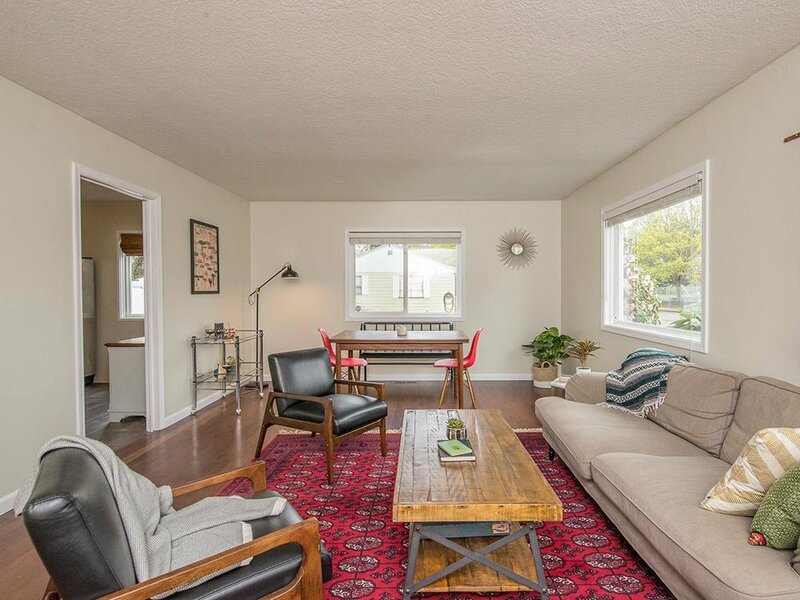 Turn-Key Mid-century Ranch on a quiet street. 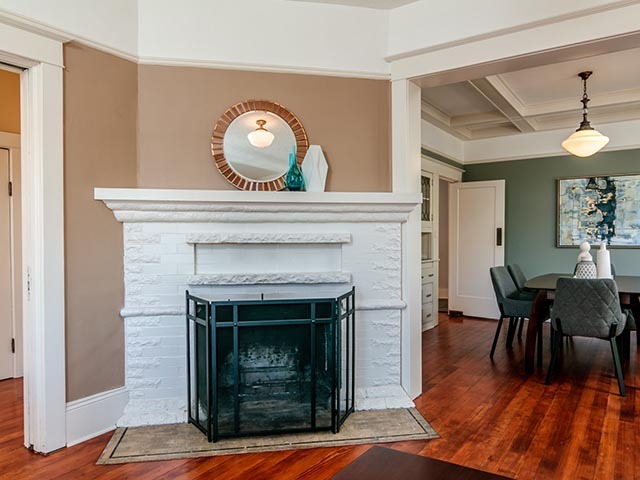 Light filled living room with cozy brick fireplace. 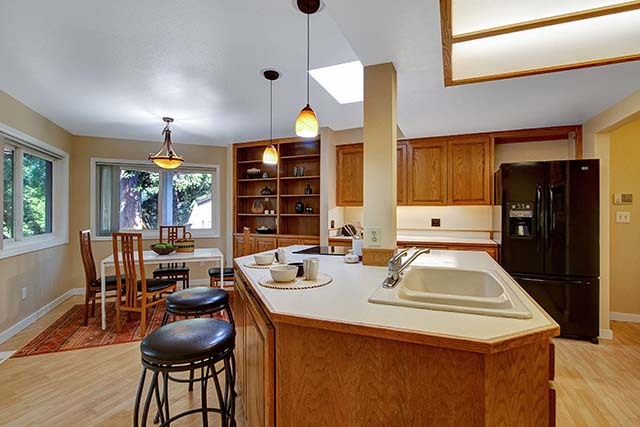 Open kitchen with eat-in area and cook island-perfect for entertaining, plus a separate formal dining room. 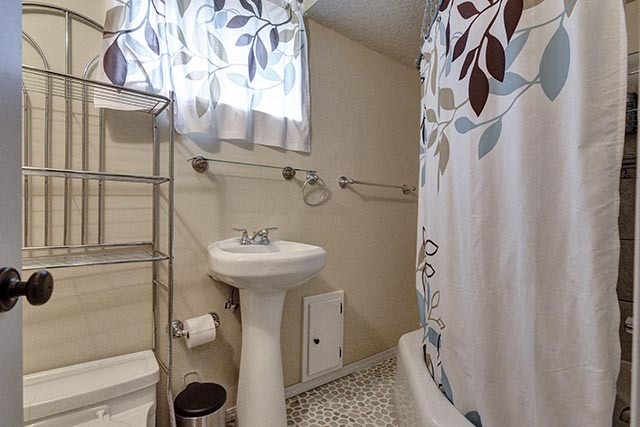 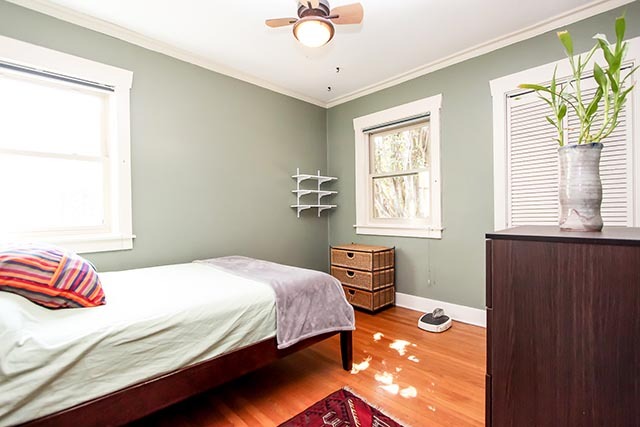 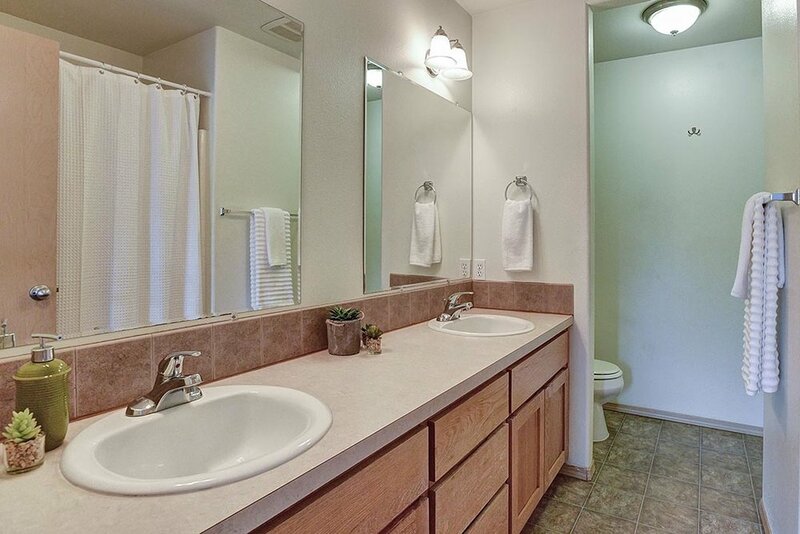 Three roomy bedrooms with new carpet on main and full bath with tiled shower. 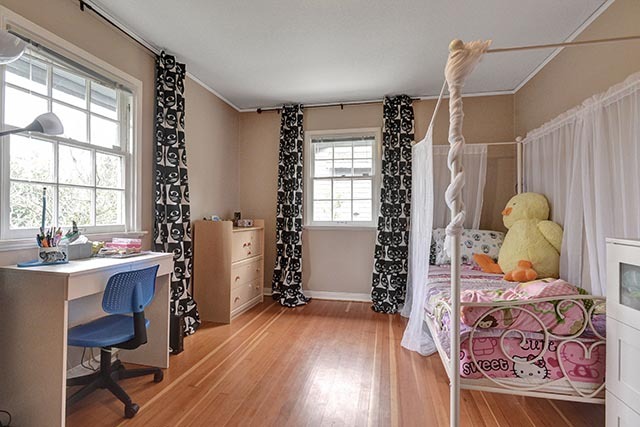 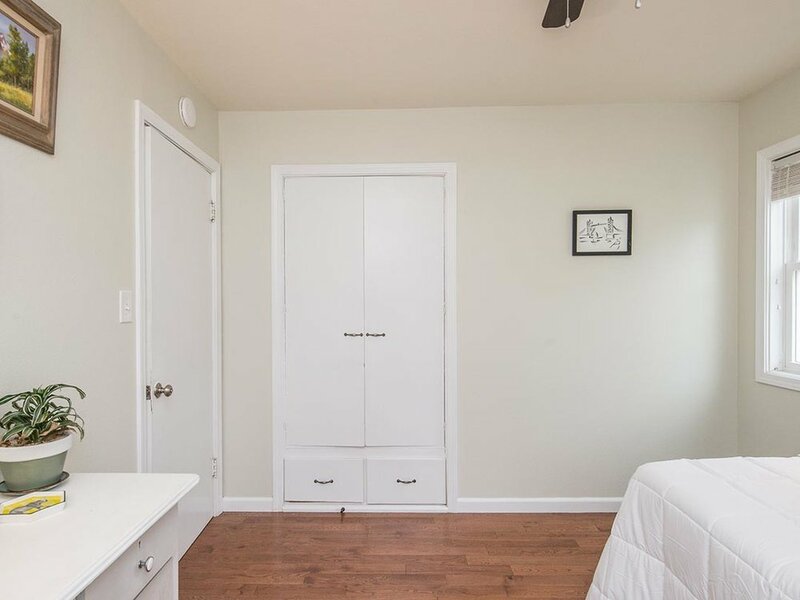 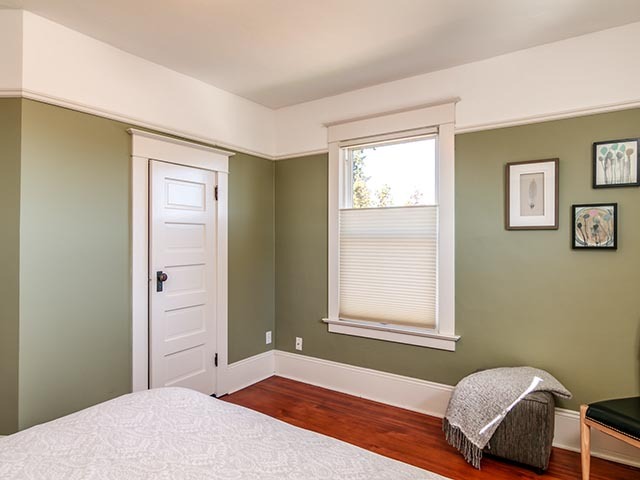 The downstairs with spare bedroom, full bath, bonus room, and utility room offer so much potential. 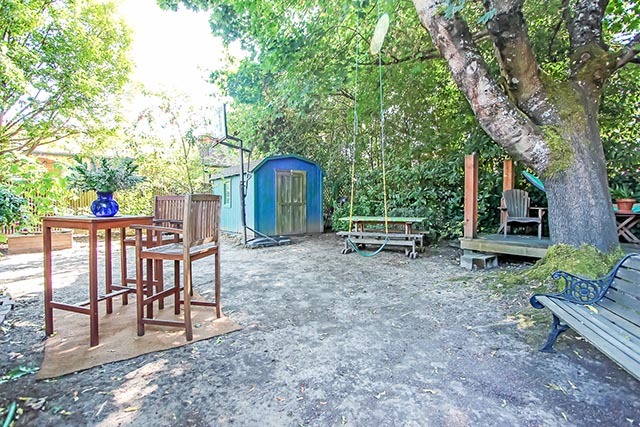 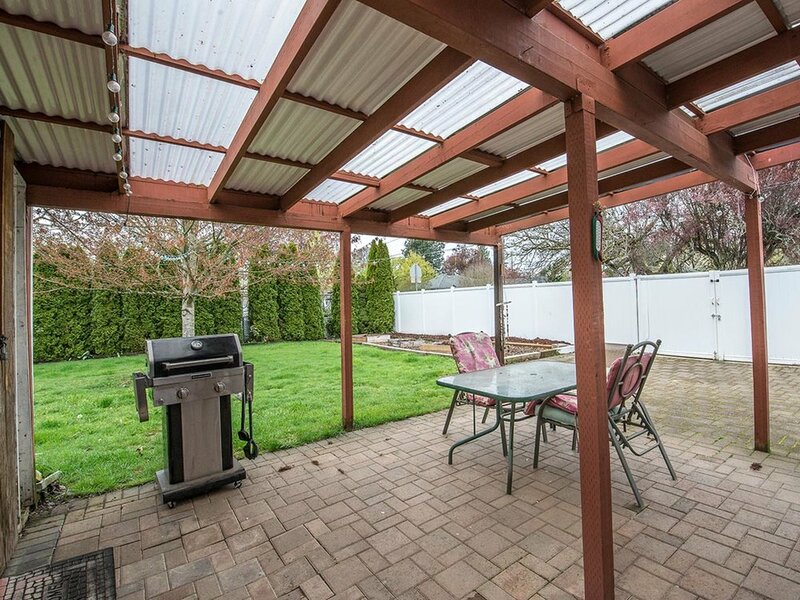 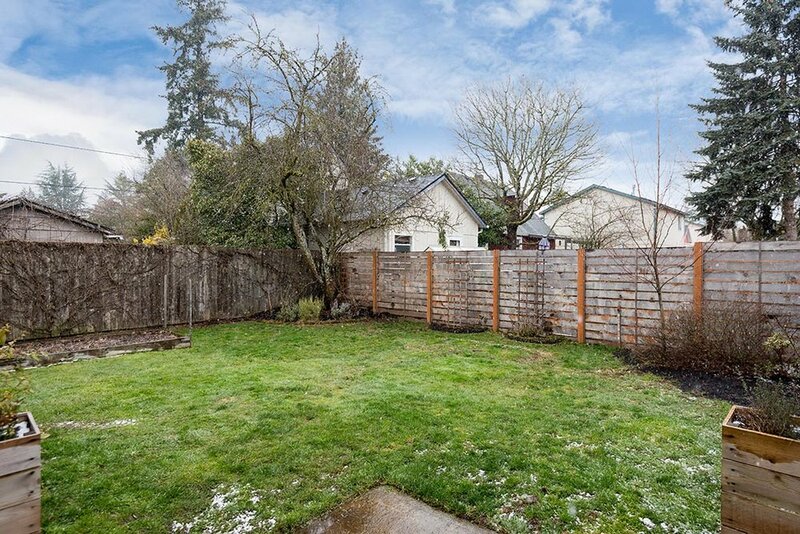 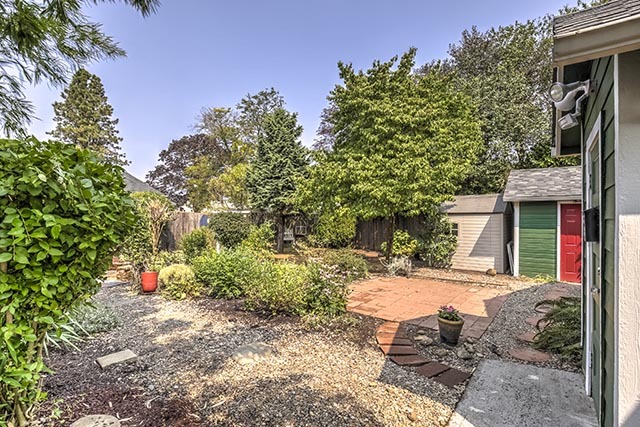 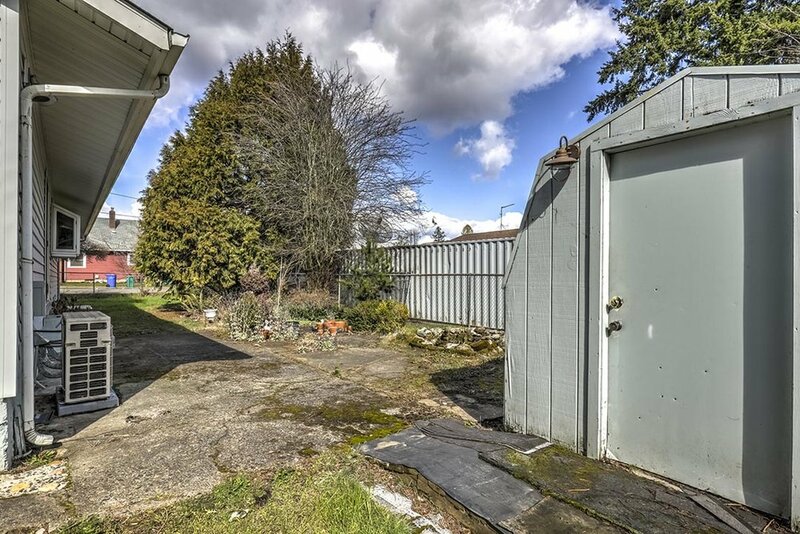 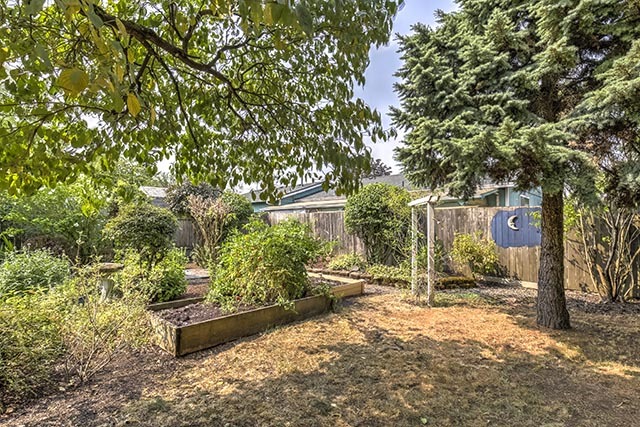 Huge fenced backyard with partially covered deck, raised beds, and fruit trees. 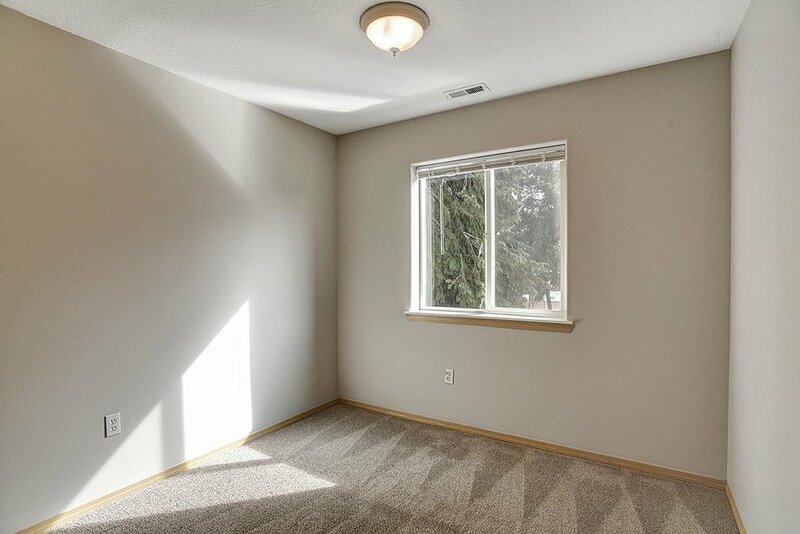 Spacious Mt. 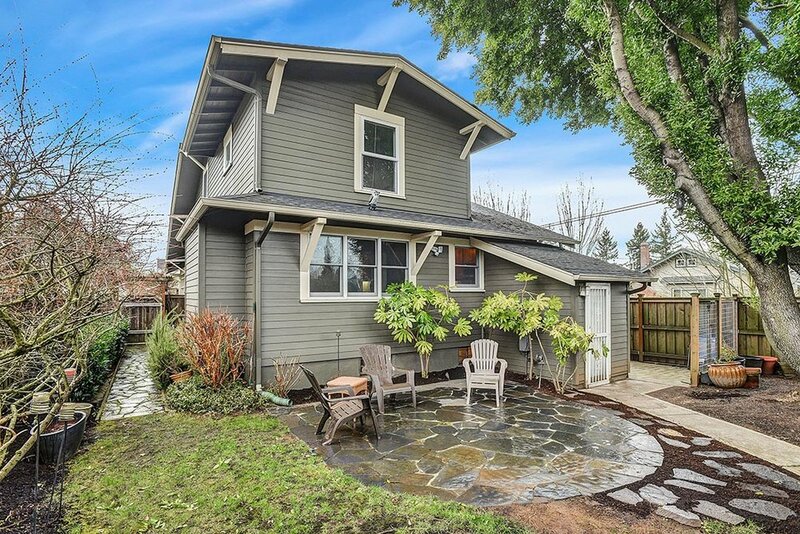 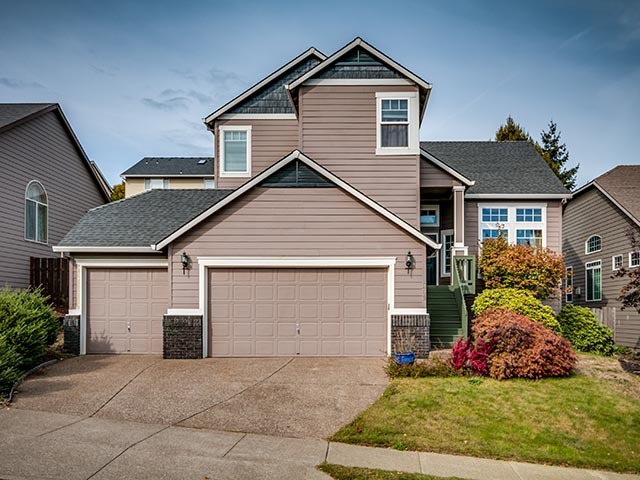 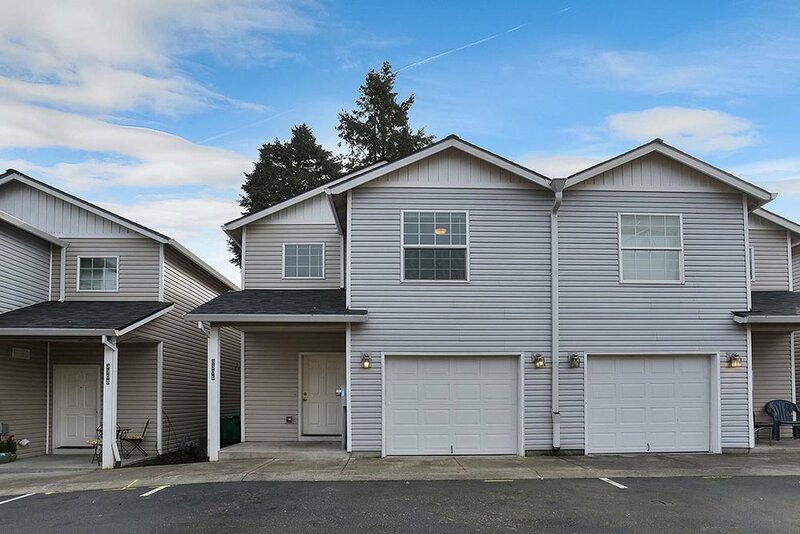 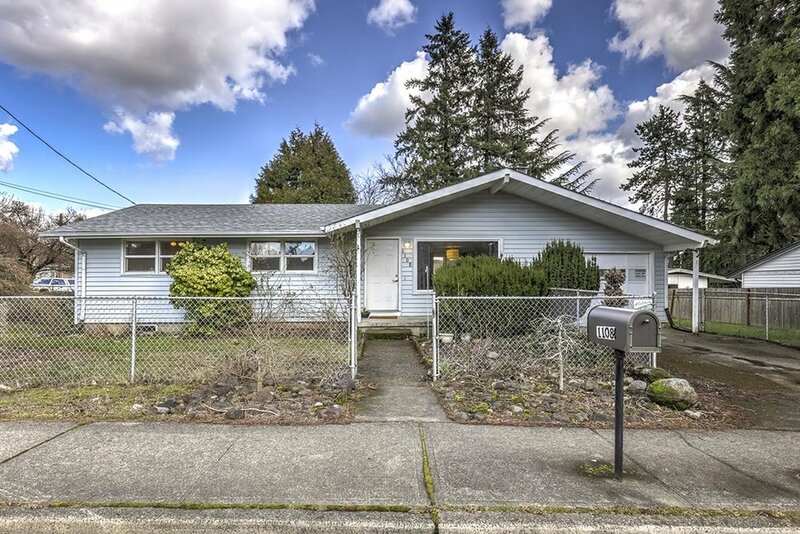 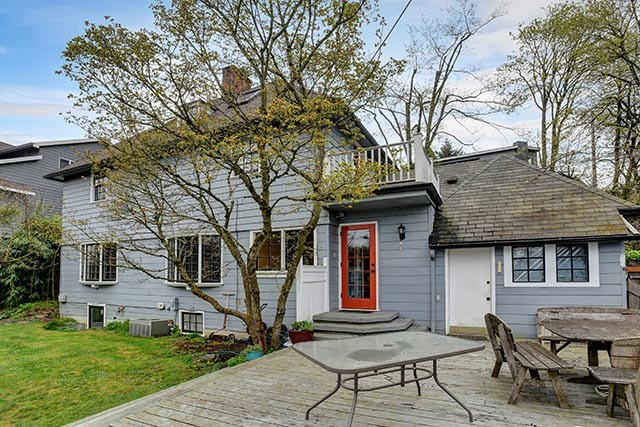 Tabor home with city views! 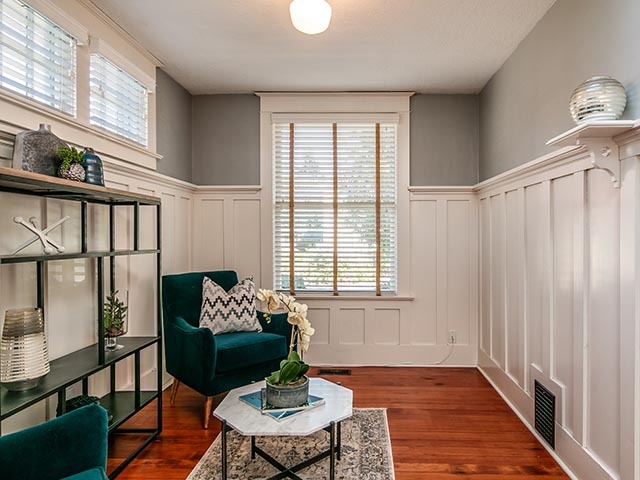 Large living spaces on main with crown molding, wainscoting, oak/fir floors throughout, and lovely windows looking into private yard. 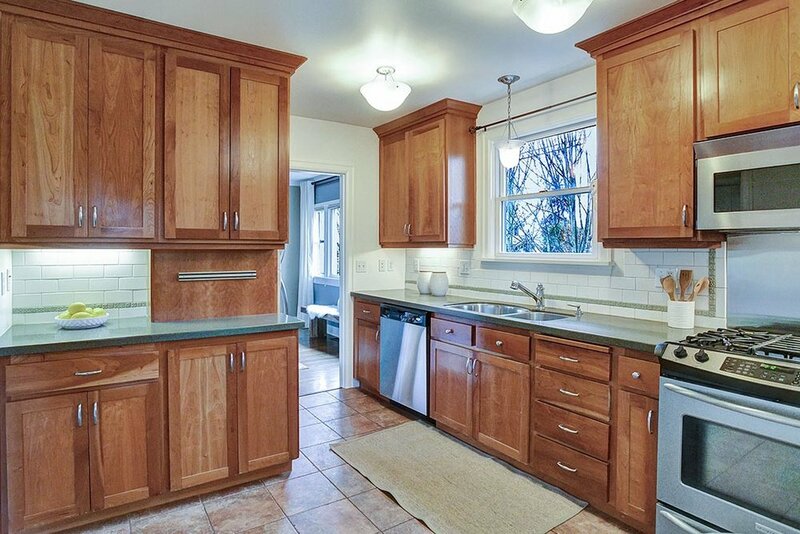 Updated kitchen with slate floors, marble counters, huge island, and pocket french doors. 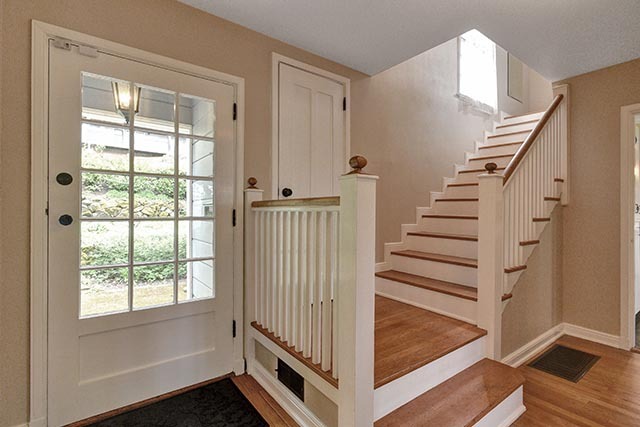 Four bedrooms upstairs including large finished third floor with skylights. 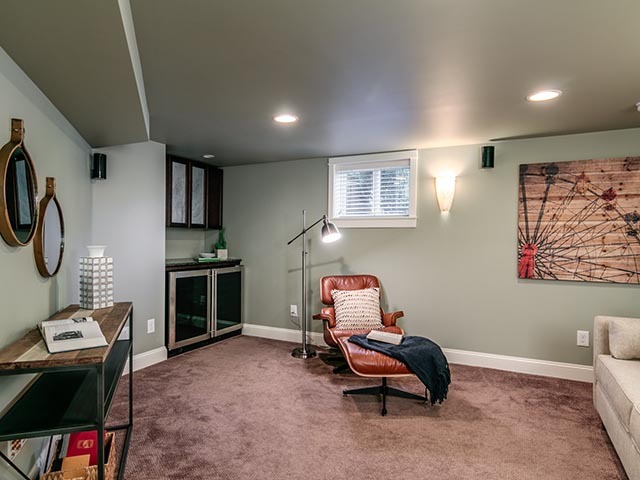 Finished basement with bonus room and full bath. 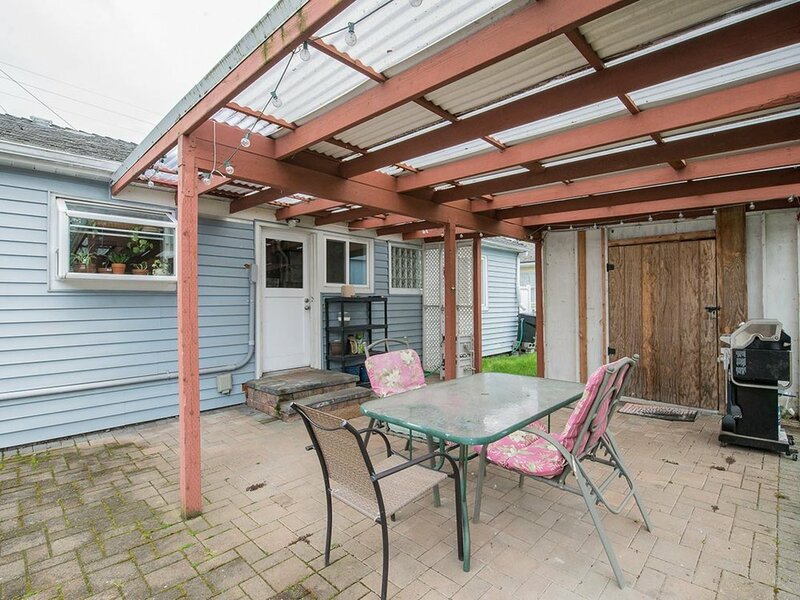 Secluded fenced yard with deck and patio. 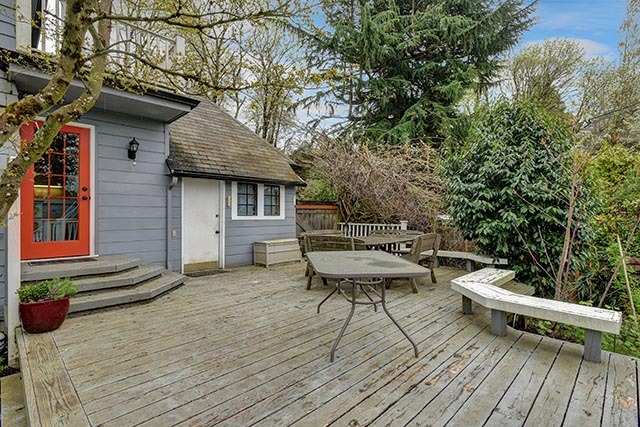 Amazing private oasis in the heart of the city!